Igniting the creative, expressive and inquisitive spark in young people through unique educational experiences. 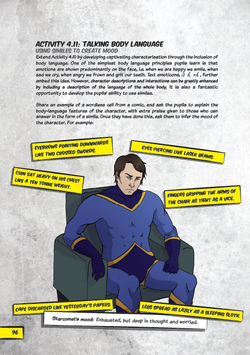 'Developing Writing through Comics is a 200+ page guide to using comics to enhance the teaching of a range of literacy skills, including reading comprehension, narrative planning, character development, locational writing, and spelling, punctuation and grammar work. 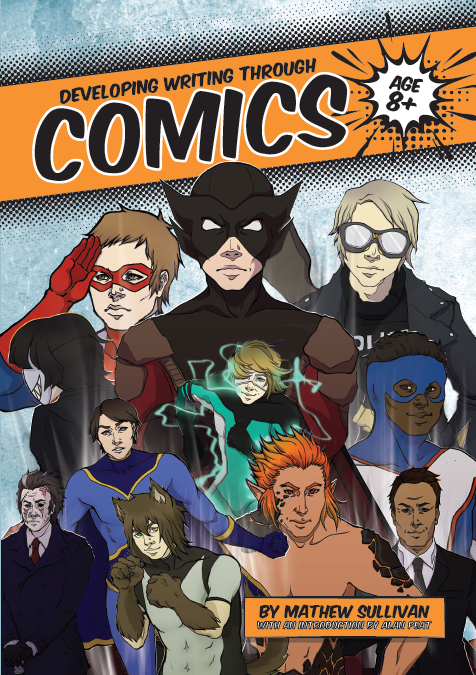 ​It was the culmination of four years development in the classroom, with the goal that it would make the engaging and increasingly popular medium of comics accessible to all teachers, who could then use comics as a tool, integrated into writing approaches, to increase enthusiasm for learning and raise standards in literacy. 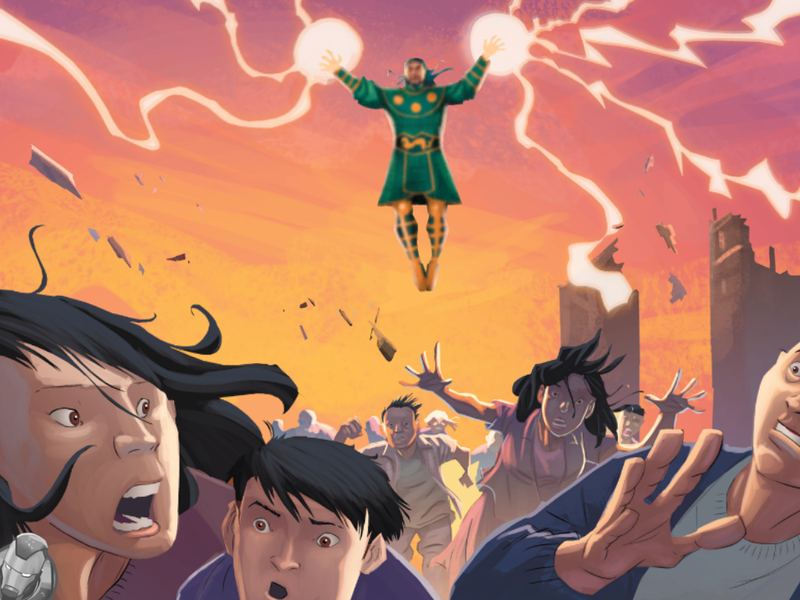 ​Having delivered training on using comics in the classroom nationally (the outstanding feedback from which you can read here) it is clear that attitudes towards the use of comics as a literacy teaching tool are changing. '...In April 1940, Lex Luthor appeared for the first time in Action Comics #23 as a corrupt scientist whose technical knowledge and intellect were matched only by his lust for power. This was in the midst of World War Two, the time of the Manhattan Project, when the issue of scientific advances in weapons technology was at the forefront of the public consciousness. Lex is a clear example of a character born from the concerns of the society of the time. In the 1980s, this trend continued as Luthor was re-imagined as a white-collar villain, an evil business executive who would step over anyone for the almighty dollar, and probably kick them on the way past. He was the ultimate embodiment of yuppie-era greed; the Wall Street Overlord. 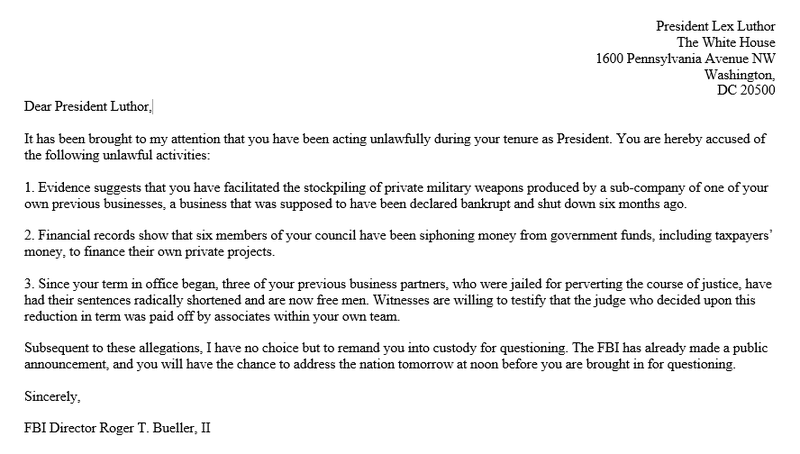 More recently, Lex Luthor even became President, reflecting the current societal fear of governmental intrusion and control (even coming under fire for covert arms dealing, another current ‘hot topic’). 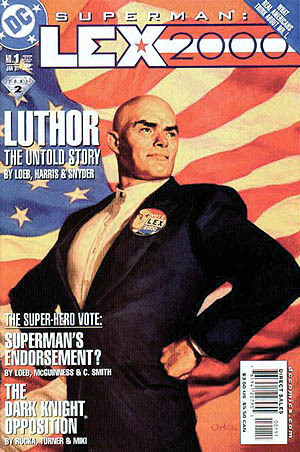 A character like Lex Luthor often succeeds, as far as the hero allows him to, due to his intellect and charm, and his ability to manipulate others. Again, this provides us with a stimulus for effective persuasive writing practice in the classroom. removed. This will enable them to recognise the importance of the tension between two characters when considering their motivation and actions. Can a Superhero be a Superhero if no one causes trouble? 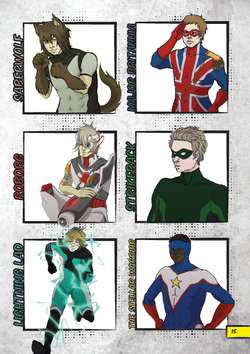 Discuss the idea with the group, perhaps focusing on a selection of your collective favourite superheroes (i.e. what would Batman do with his time if there were no enemies left to fight? Would Clark Kent still need to be Superman? Would Peter Parker miss being Spider-man, or would he relish the chance to relinquish the most stressful and overbearing of his many responsibilities?). Suggest that their character might start at one point on the scale, and then have an experience that shifts them to another point. Indeed, they may then have an encounter which makes them return to their original viewpoint, or to a different stance, even pushing them to an extreme on the scale. 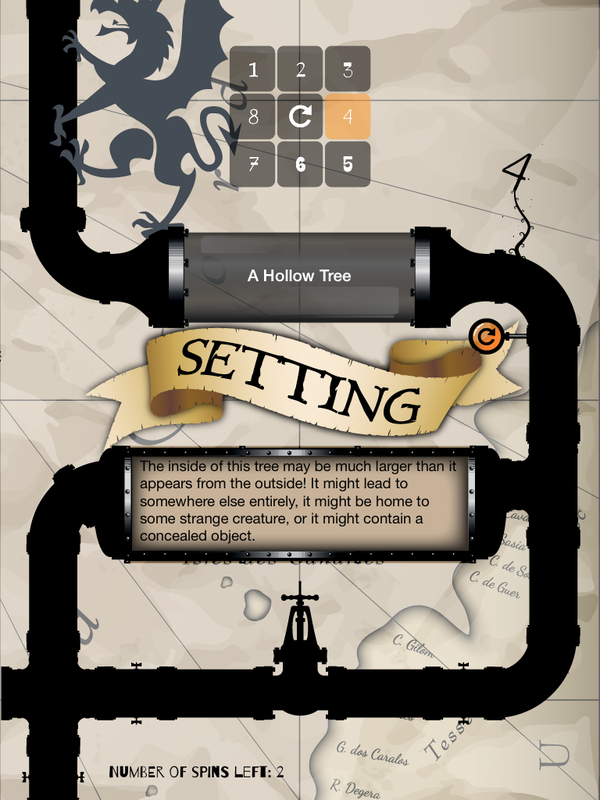 Copy the types onto circular pieces of card and offer them as you would a deck of cards. 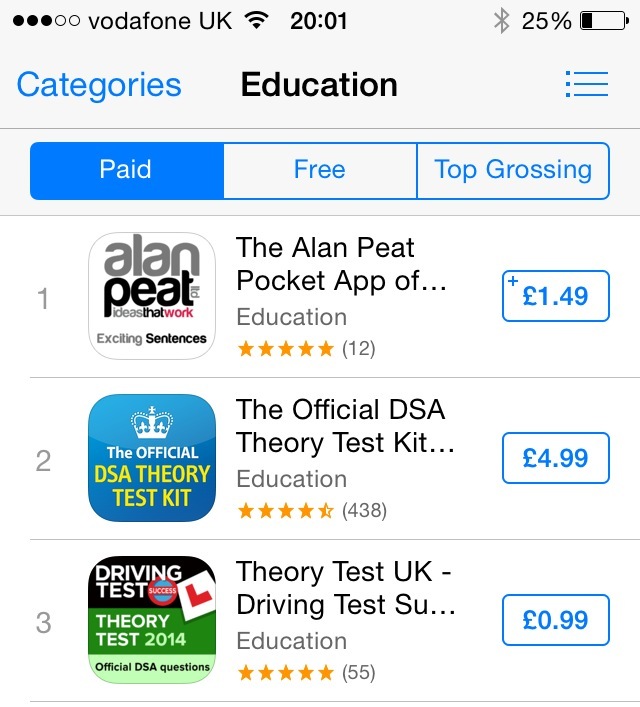 Have a pupil pick two to start. Take their chosen discs and stick them, overlapped, on your display. 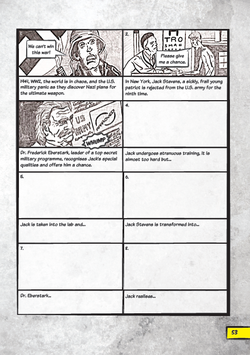 All of these activities all come from the final chapter of Developing Writing through Comics, which also covers areas such as war propaganda, Victorian literature, ancient history, crime and punishment, bullying and responsibility, equal rights, and dystopian fiction, all through the medium of comics, all designed to engage and extend high ability learners. 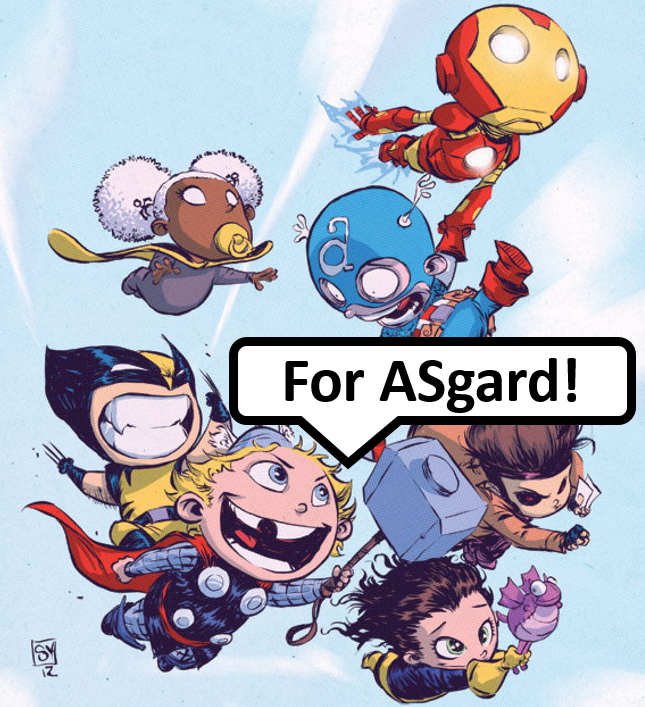 But the book also covers ways in which to use comics to teach the 'basics' of writing, such as planning stories, writing dialogue correctly, creating exciting characters and describing settings. 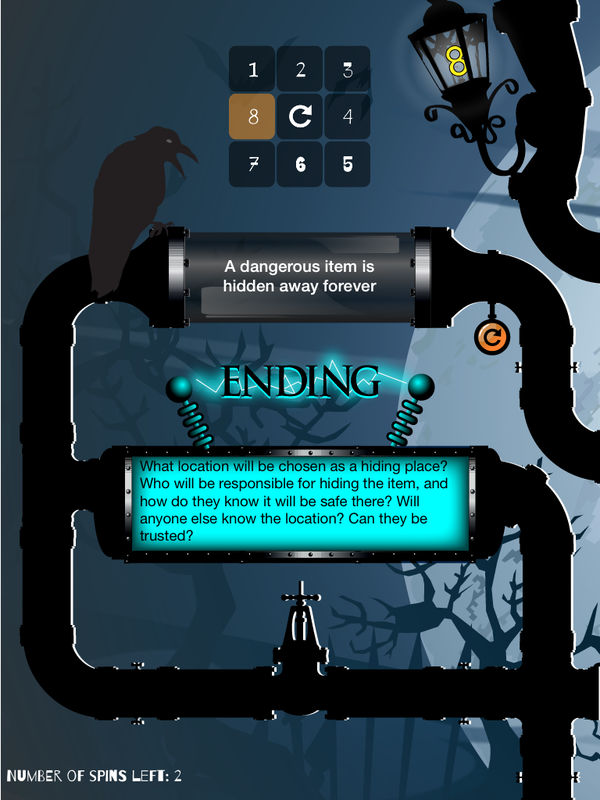 It even contains games and activities for practising correct punctuation through comics! 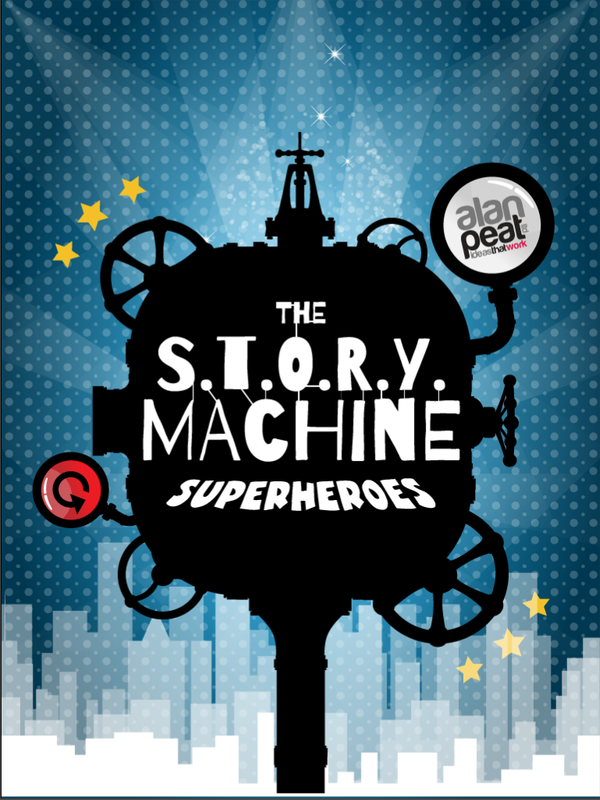 ​Alan Peat will be using the resource as part of his training later this year, and Mathew Sullivan will be announcing conference details for a full day on using comics in the classroom soon. 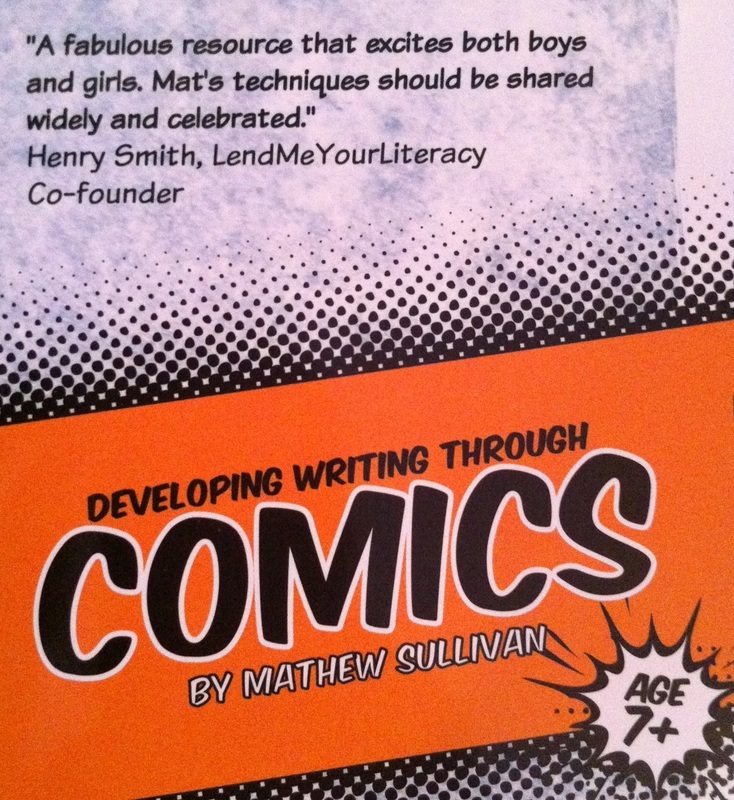 In the meantime, you can get your own copy of Developing Writing through Comics here! 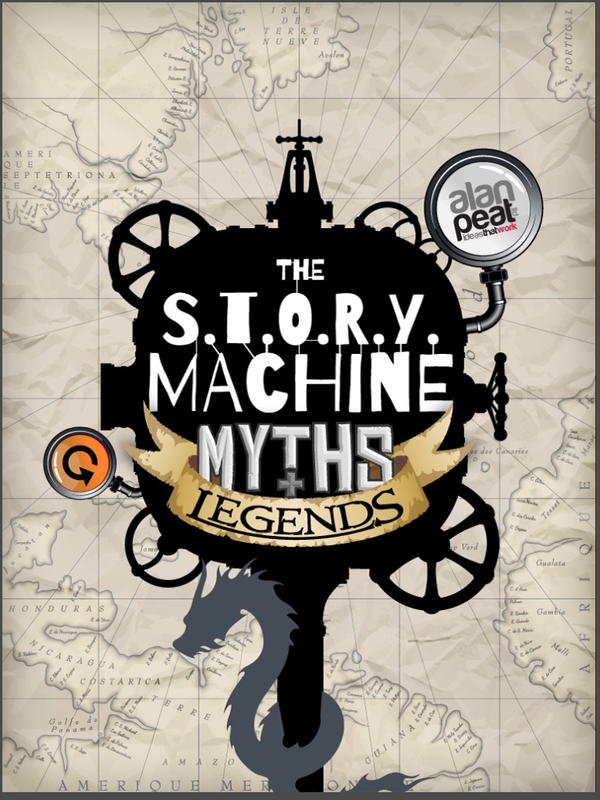 Viking gods + comic planners + Exciting Sentences = some cracking Norse myths! Just before the holidays, pupils in Year 3 completed a unit on Viking myths and legends. 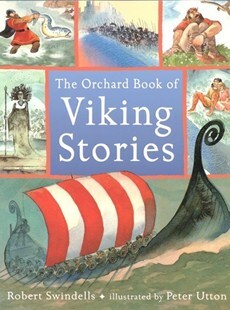 After having introduced the worlds of Asgard and Jotunheim, characters like Odin, Thor and Loki, and elements such as the Bifrost and Gladsheim through the Marvel movie Thor, we dove into a collection of traditional myths from The Orchard Book of Viking Stories by Robert Swindells. 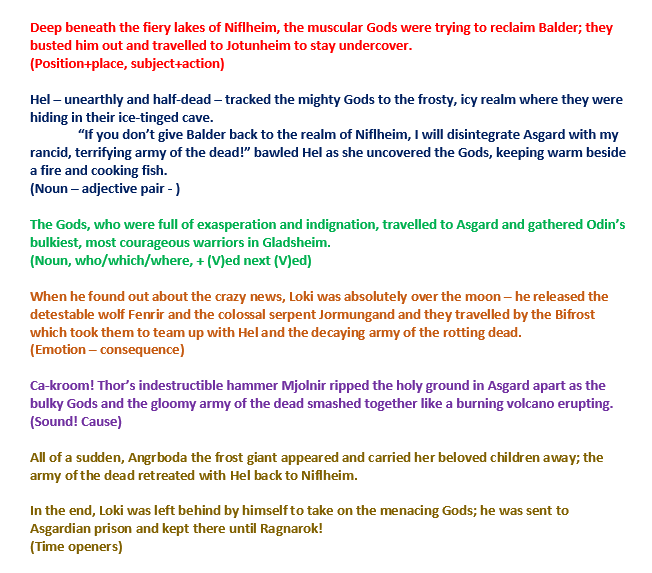 ​Pupils loved listening to these stories and imagining Loki, Thor, Odin and the other gods - as they had seen them in the film - getting up to allsorts of mischief! Visit http://www.thecepress.com to see the resources used for this unit! 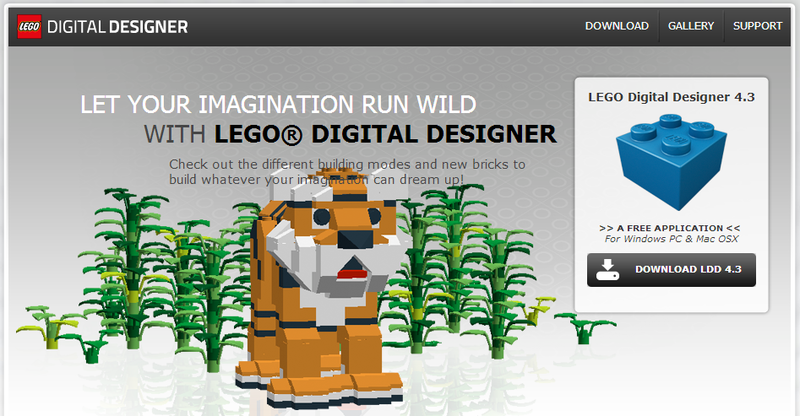 As anyone who knows me knows, I am what has apparently been termed an 'AFOL': an Adult Fan of Lego! 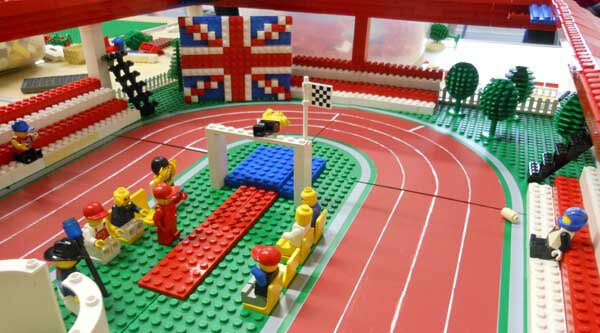 Lego continues to be one of the most popular children's toys in the world. 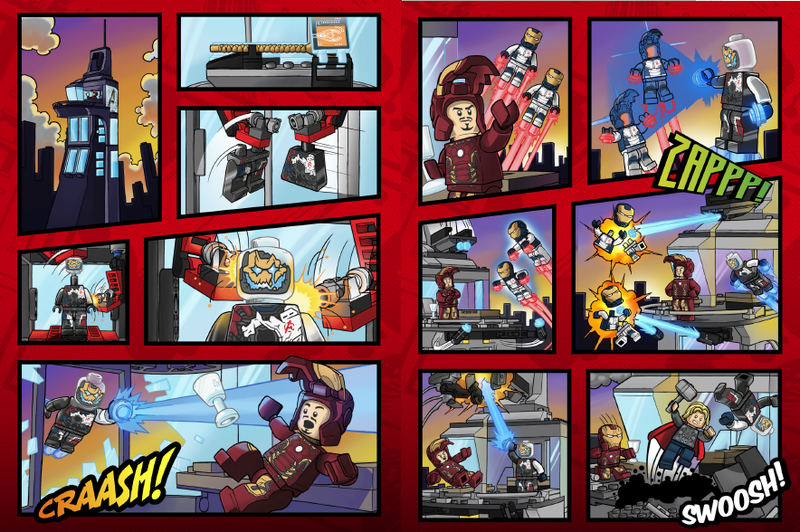 When Lego began to release their recent superhero sets, I was delighted to find that they also started to include a comic in each box! The educational potential of comics like these, especially as stimuli for writing, was instantly evident. 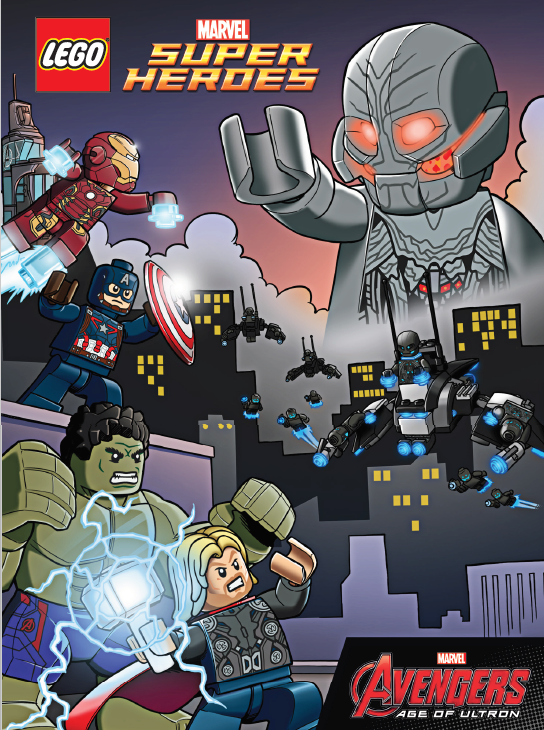 I was happy to discover that some of the comics, like the one opposite (based on the recent 'Avengers Age of Ultron' film) were also available to download for free in PDF form from the Lego website. Soon, Ultron had completed his creepy, robotic creation. 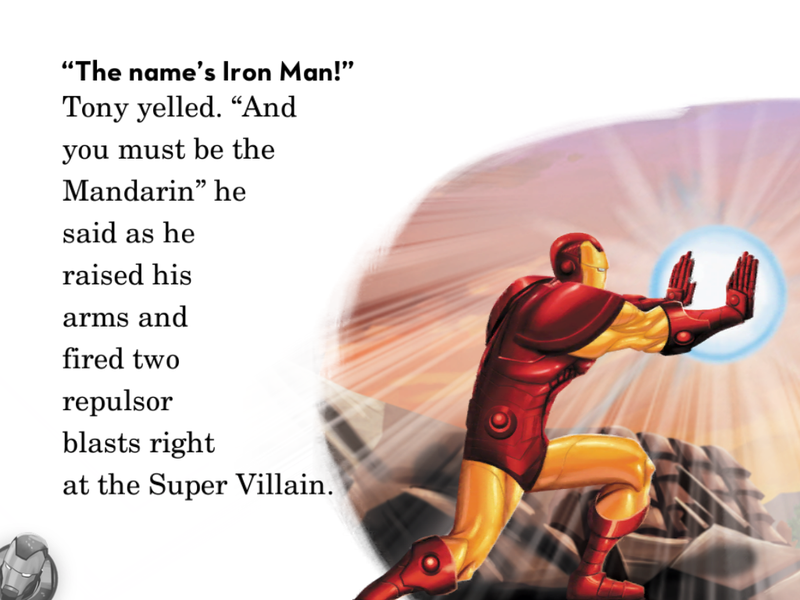 Next, the villainous Ultron began to attack Iron Man. 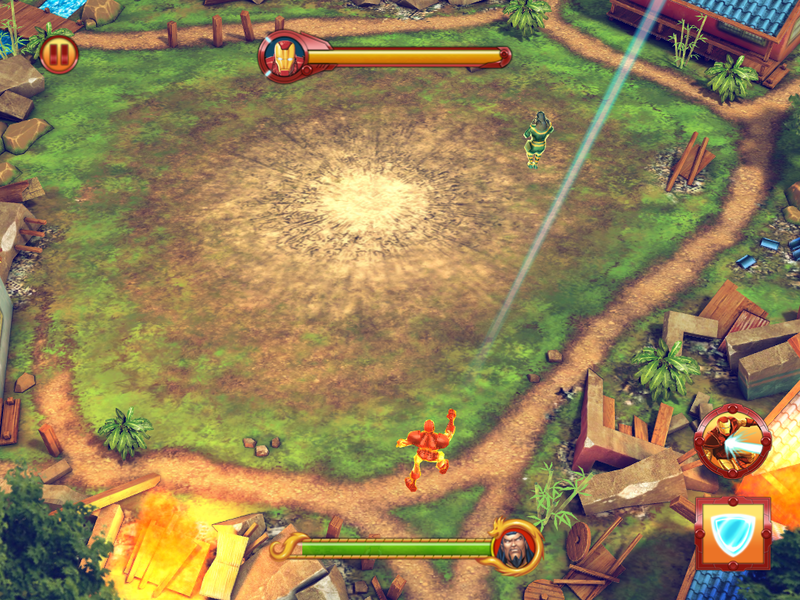 Meanwhile, the Iron Legion cannonaded Iron Man. On top of the tower, Ultron took control of the Iron Legion. Under the building, Hulk was waiting for the right time to attack. Far above the building, Thor was gathering lightning for his hammer. Thor's hammer glowed in the dark as Iron Man's suit shone as bright as a star. Ultron's minions fired at Iron Man as Hulk's skin turned green. Hulk was staring at his enemies intimidatingly as Ultron's robots were trying to pin Hulk down. Melvin McGee has just turned ten. His birthday surprise? 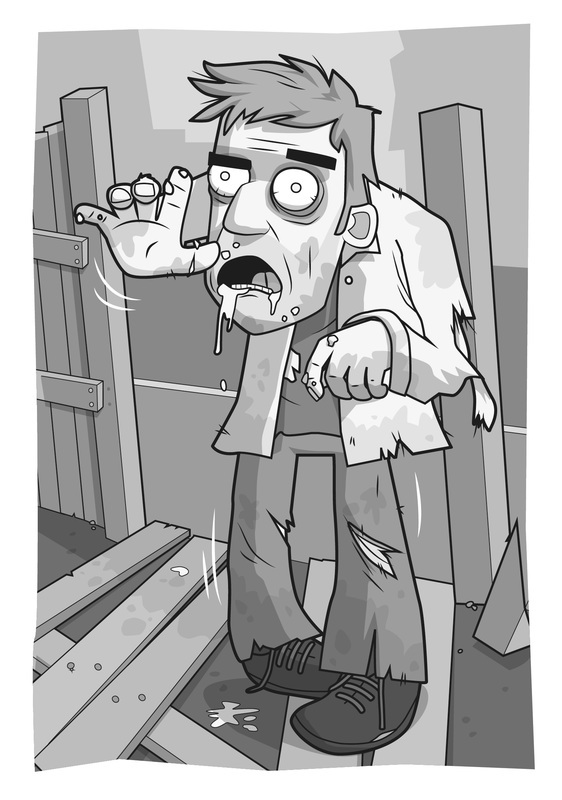 A town full of crazed, brain-gobbling zombies! 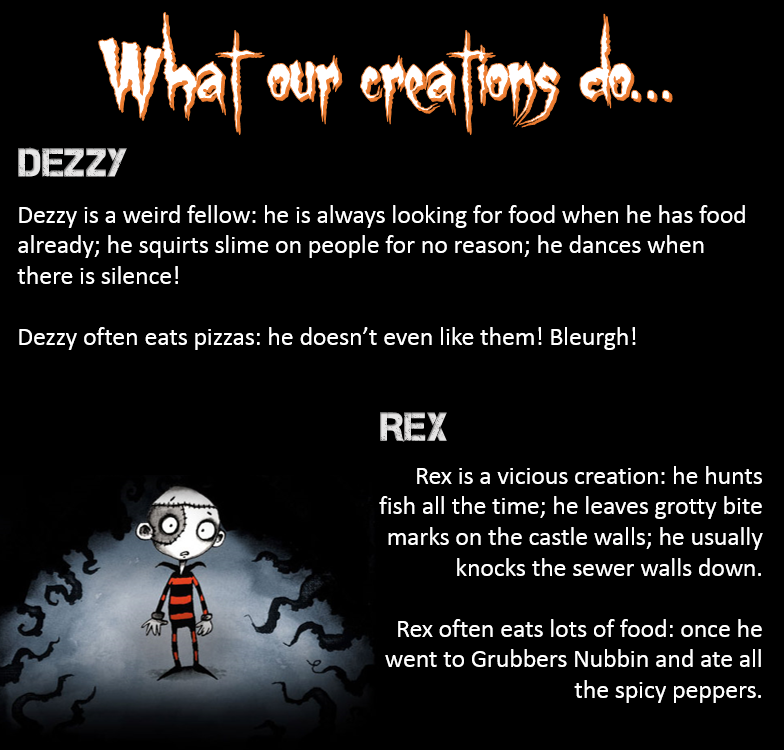 Join Melvin, our not-exactly-fearless hero, as he takes on a whole army of slimy zombies, led by none other than his own teacher - the usually friendly, now cannibalistic - Mr Woods! Check out some of the amazing illustrations from the insanely talented Marek Jagucki below, and order your very own copy here! 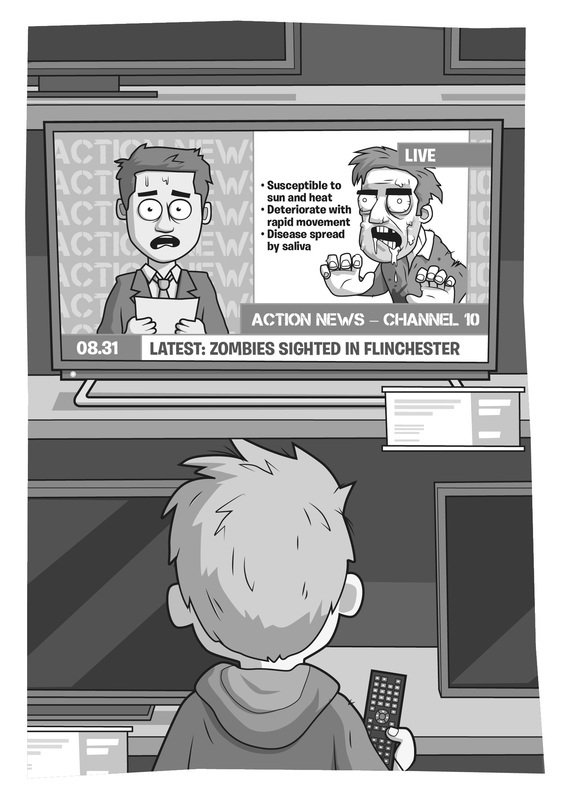 A news reporter does a terrible job of keeping calm as he describes the growing zombie crisis. 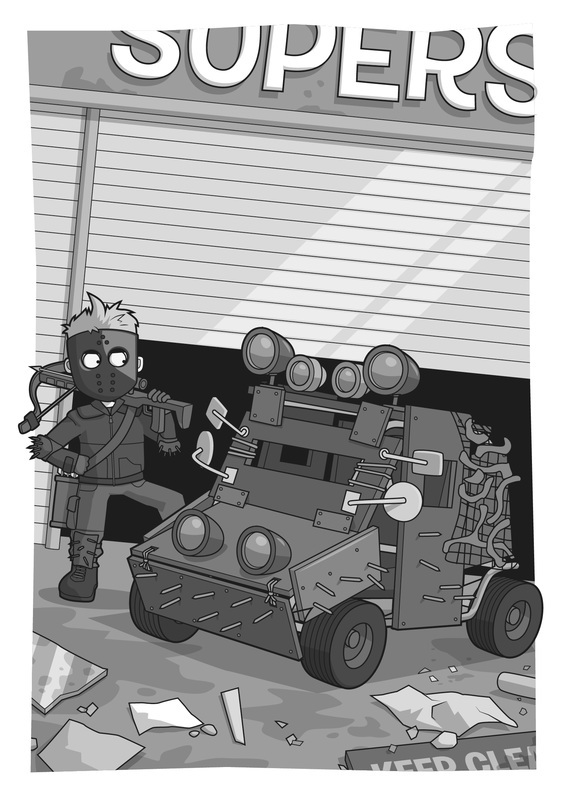 Melvin is ready - or as ready as he'll ever be - to go out and find a way to save his town! The S.T.O.R.Y. 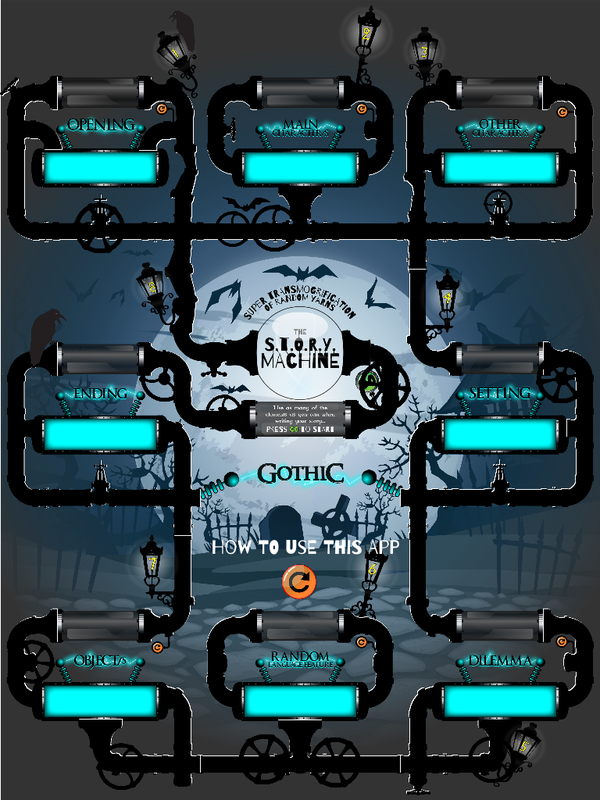 Machine: Gothic Tales! 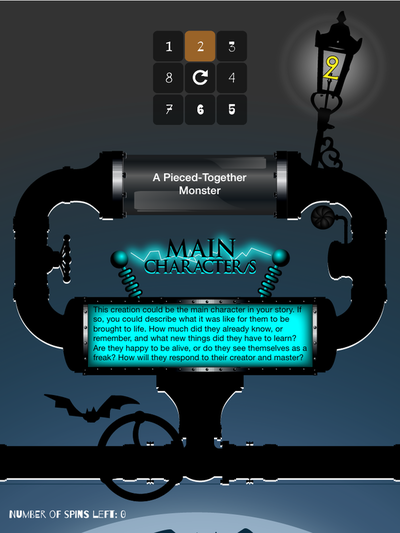 Just in time for Halloween - an app which generates custom writing resources for pupils! Pupils are then free to select, use, adapt and/or re-work the elements to suit both their own ideas and the stimulus they are using! 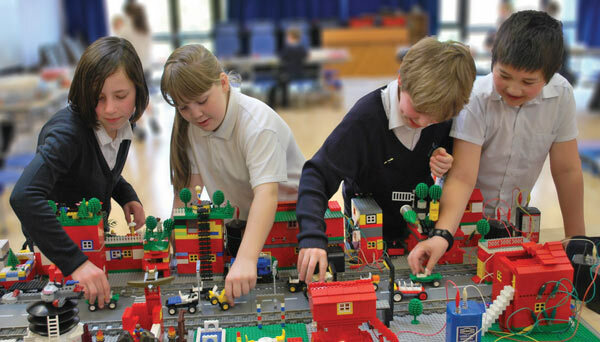 The inclusion of prompt questions and genre-specific vocabulary and language features helps them to ensure that their writing is appropriate whilst supporting the use of their own ideas and imagination. Find the new Gothic app on the App Store now! 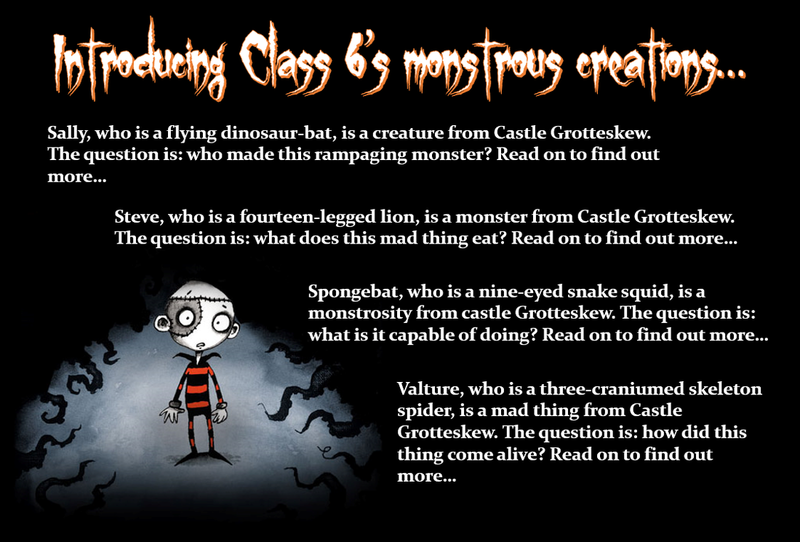 Writing reports on monsters, creatures and mad-things! This half term, pupils in Year 3 began work on report writing. 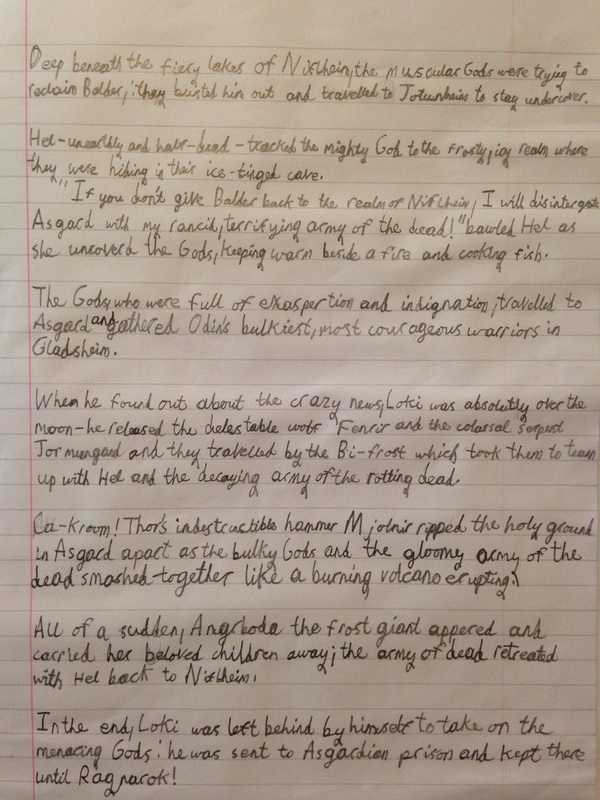 Pupils had previous experience of writing reports, with the outcome usually being a demonstration of what they had learned (a historical or geographic report, for example). However, this time, pupils would focus on the structural conventions and language features of an effective report, before writing their own. 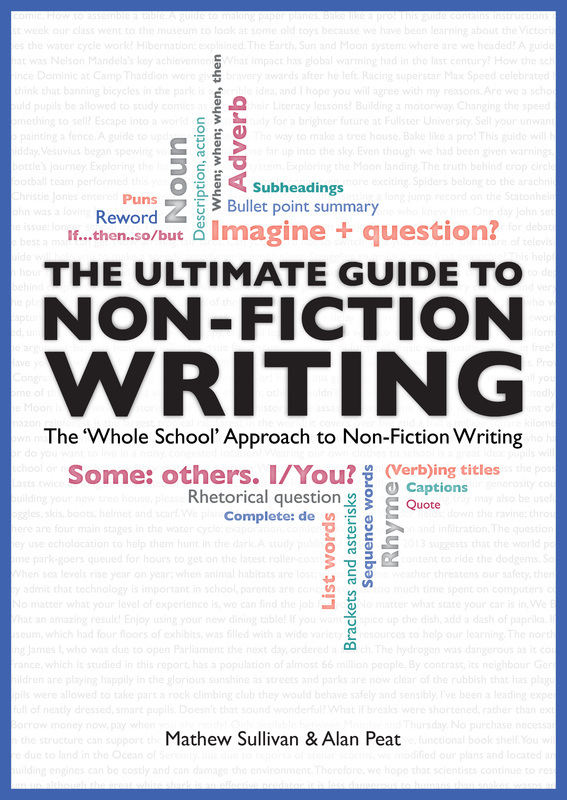 This is where 'The Ultimate Guide to Non-Fiction Writing' came in handy! Pupils learned a structural model for report writing called 'The W's Model'. 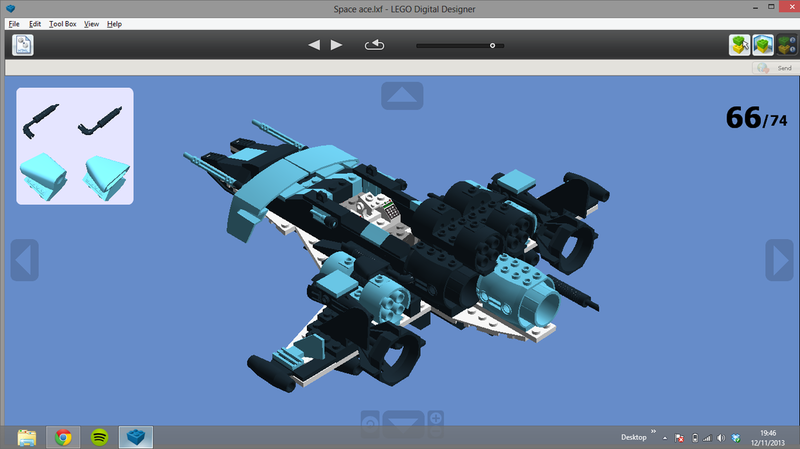 This model is based on a set of key questions, each of which relates to a feature or element of the subject. 1. What they are AND what they belong to. 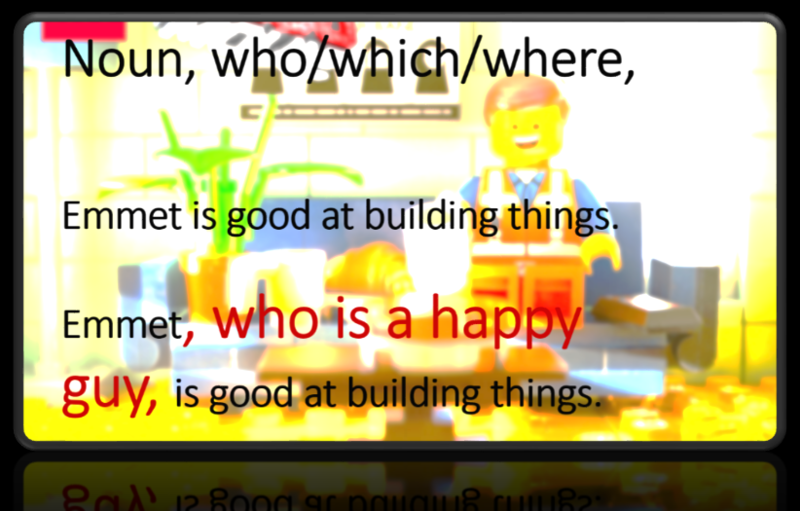 Using 'Noun, who/which/where,', 'The question is:_? ', and 'Trailing off...' sentences. This first lesson proved useful in terms of introducing the idea of 'classification' - pupils really enjoyed playing word association games related to this. 2. What they look like. Using '6A' (or 2x 3A, or 'List') sentences, and 'Phrase List' sentences - lessons focused on varied and imaginative adjective use. 3. Where you find them. Using 'Position + place, subject + action' sentences, and 'Name - adjective pair - ' sentences. 5. Why they are important. 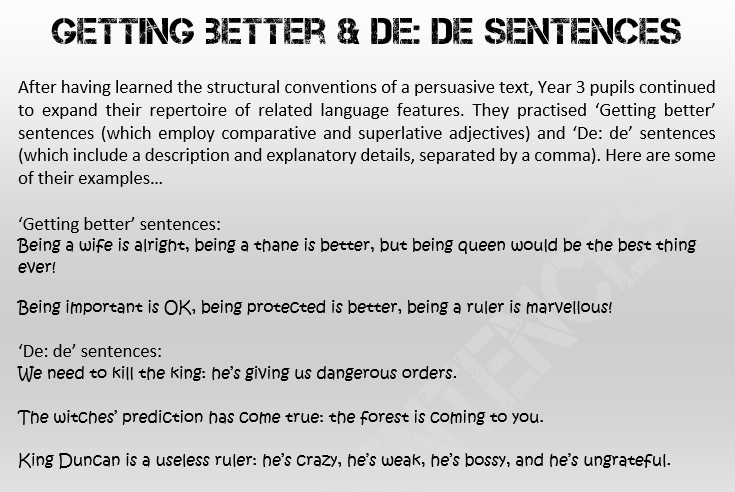 Using 'De: de' sentences and 'As' sentences (with 'as' used for 'because'). Using 'Tell: show 3;' sentences and 'De: de' sentences. Sally has a pair of protruding, purple batwings with a green, filthy, slimy body stuck to them. 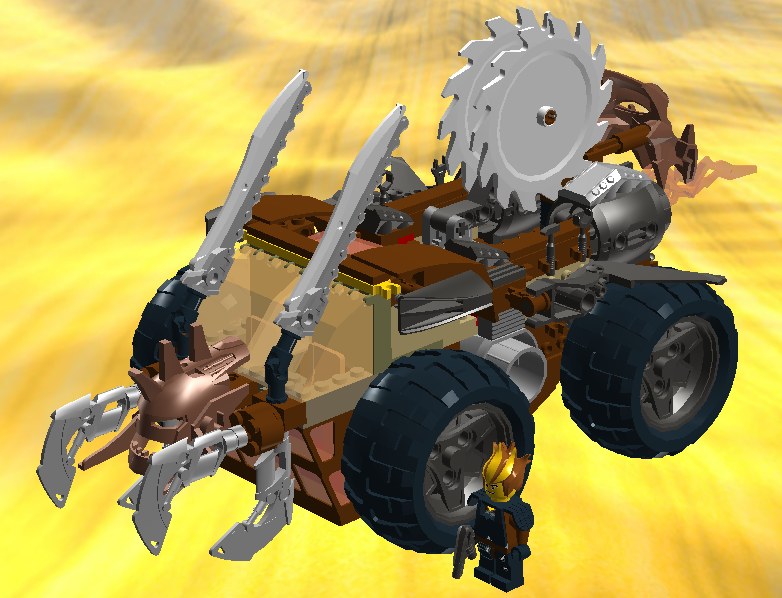 Sally also has a multi-coloured roller skate to move; antennas to communicate with aliens; a gigantic, red monkey tail to keep balance, and blue arms to grab humans. 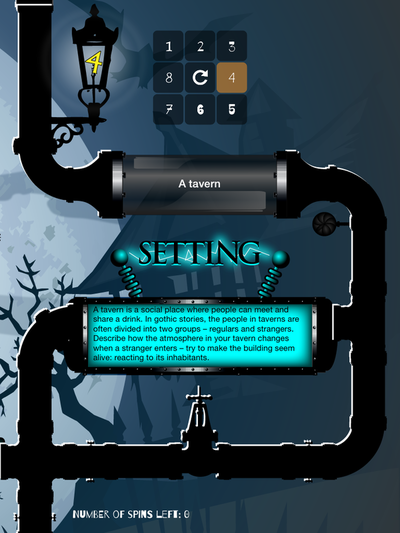 High up on Castle Grotteskew’s crumply roof, Sally lives in a chimney. The roof –crumpled and slippery – is where Sally’s favourite food lives: vegetarian jellyfish that fly. Sally is a clever creation: she helps Stitch Head with his potions; she teaches the creature how to read and write; she teaches the other creations (normal) science. 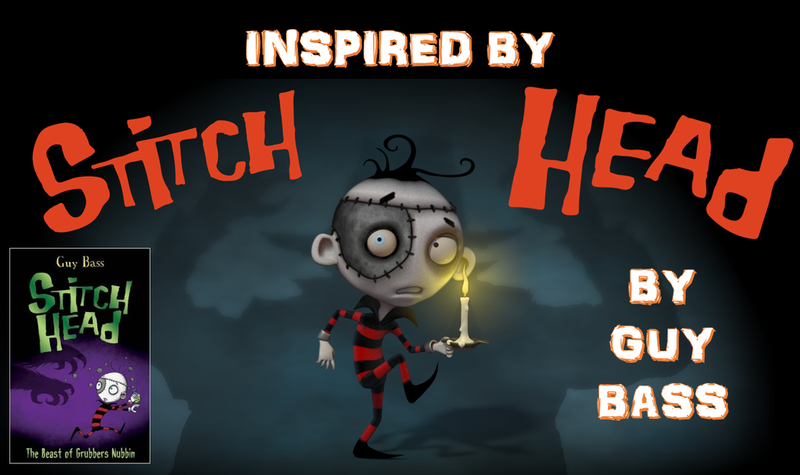 Sally often makes potions: she helps Stitch Head with curing the other creations. 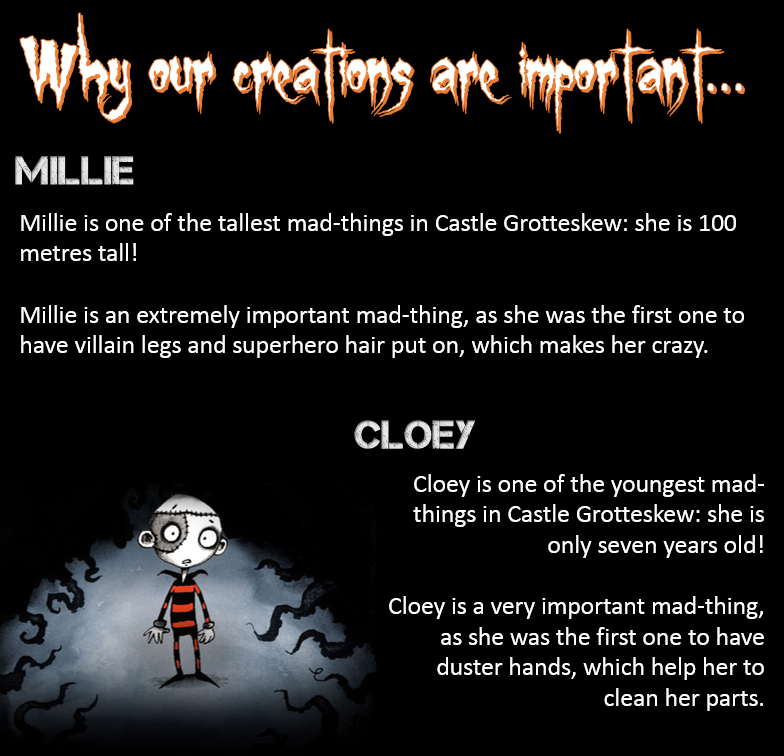 Sally is one of the youngest creations in Castle Grotteskew: she is six years of age. Sally is an extremely important creation, as she was the first one to have batwings, which allows her to fly. Sally can be very friendly (yet sometimes she forgets her manners). Sally loves to play with bats when they come to the roof (or sometimes bullies them). 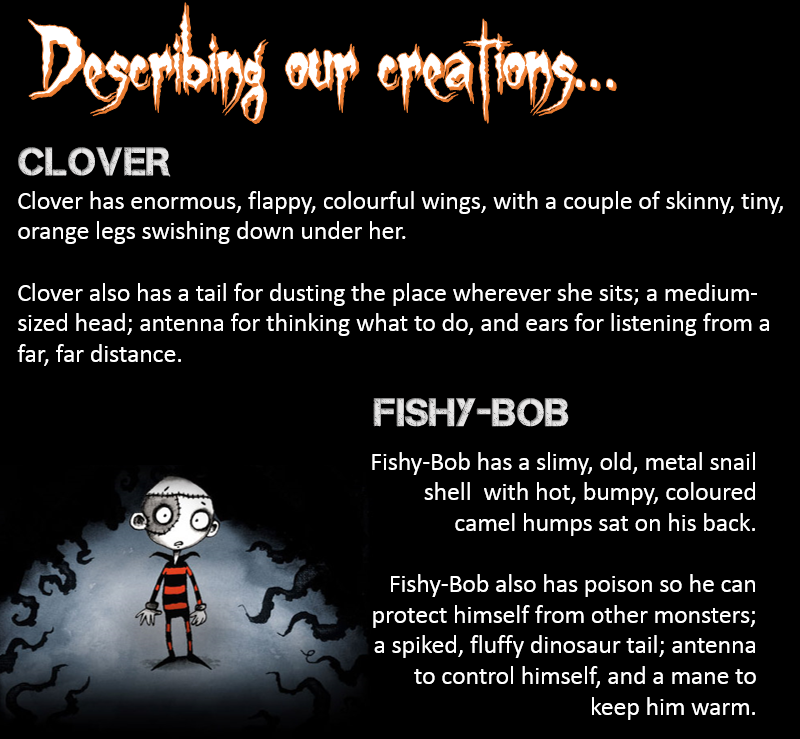 Combining a non-fiction genre with a fictional stimulus really helped to engage pupils, spurring them on to use the literary techniques they had learned to do justice to the creepy creatures they had made. 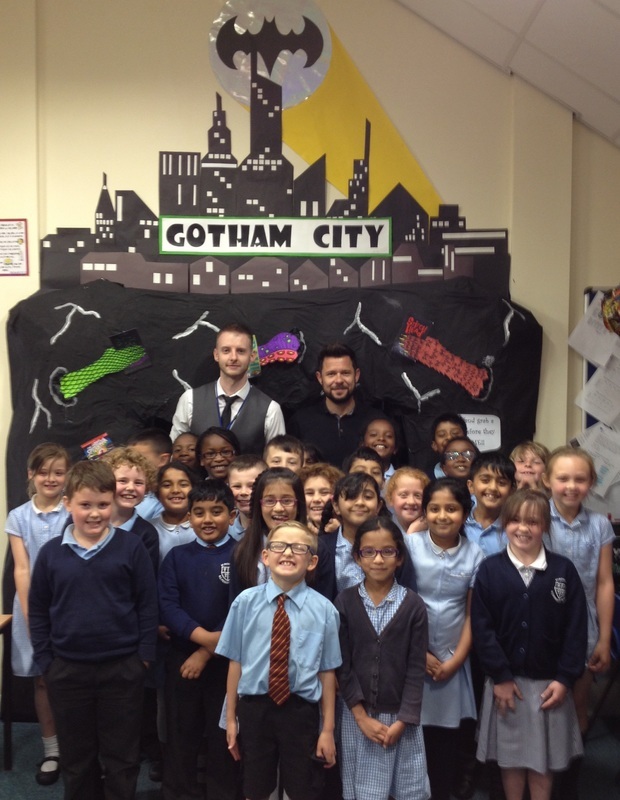 They were so enraptured by the world of Stitch Head that we invited the author, Guy Bass, to visit the school! 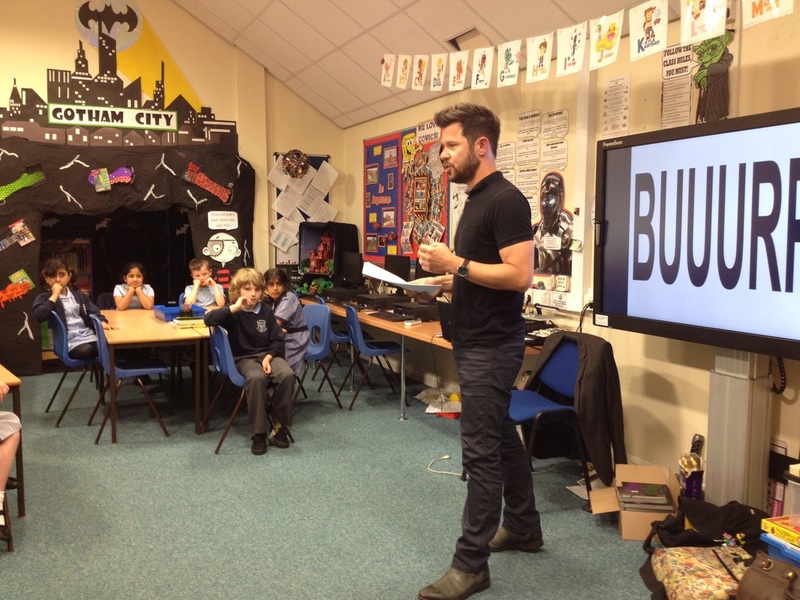 Guy spent an afternoon talking to pupils about the next Stitch Head book, and even shared some of the story with us! 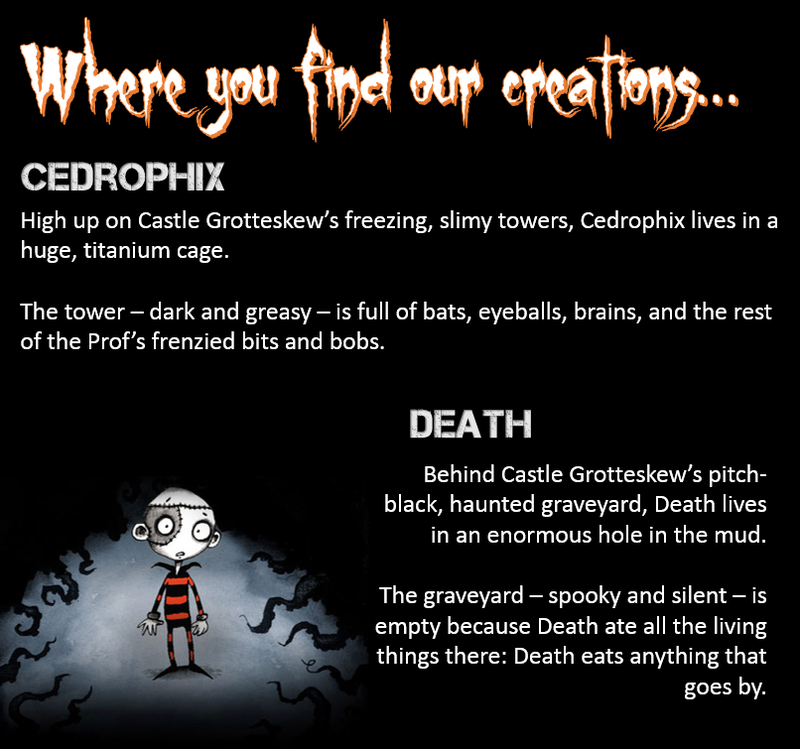 The latest Stitch Head book - The Beast of Grubbers Nubbin - is out now! Click the cover for more details! Guy was so happy with the work that the pupils had done, he even offered to work one of the pupil's creations into his next book! It was an amazing way to round off a very successful unit of work! Click on a cover for more information! 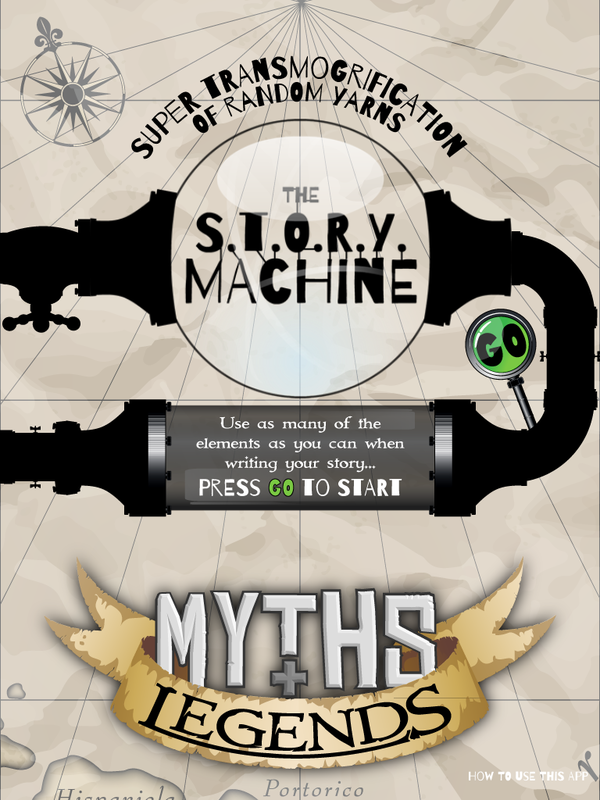 The S.T.O.R.Y Machine: Myths and Legends! 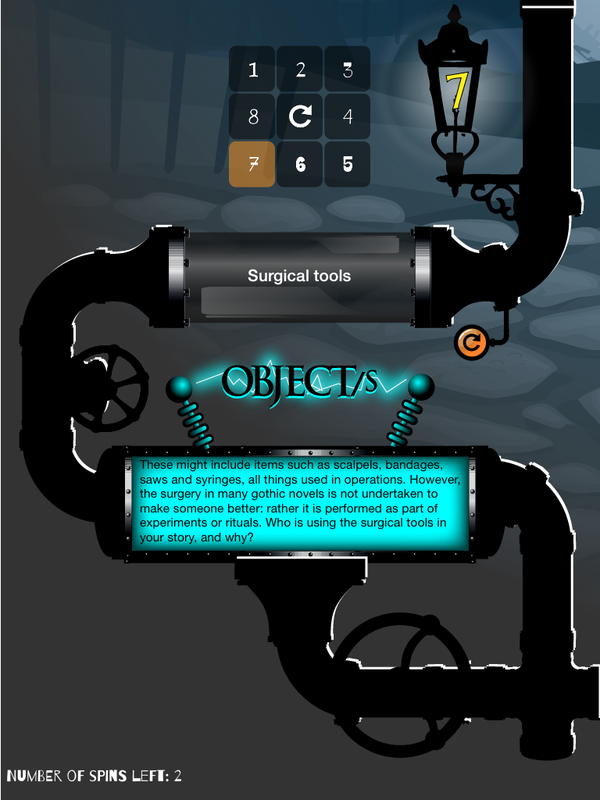 It gives me great pleasure to introduce the first app that I have written! 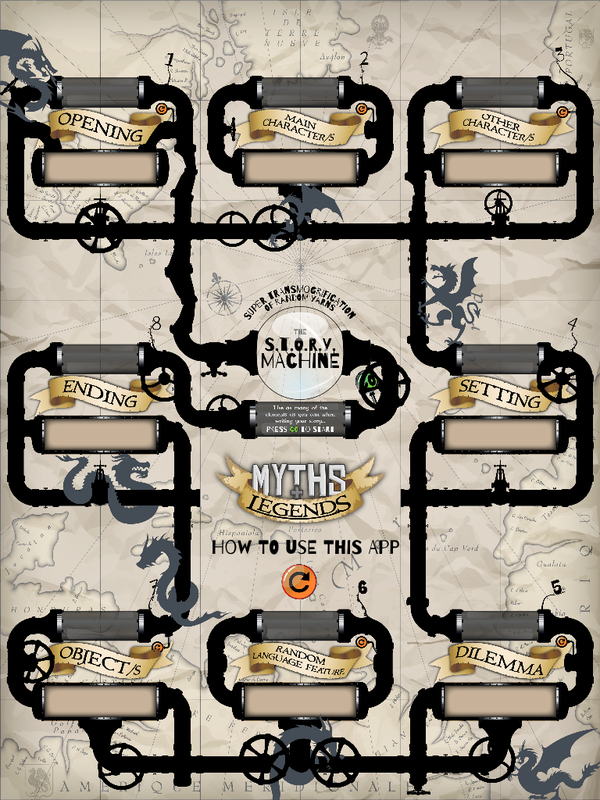 Find the new Myths and Legends app on the App Store now! - with 'The Ultimate Guide to Non-Fiction Writing'. Use of the pupil 'access' language allowed the function of each part of the text to be conveyed in a simple, clear, comprehendible manner, without becoming reductive. It also facilitated discussions regarding the reasons for three separate 'Why I think it' sections (harnessing the power of three; persuading through a triple-helping of diverse reasons). 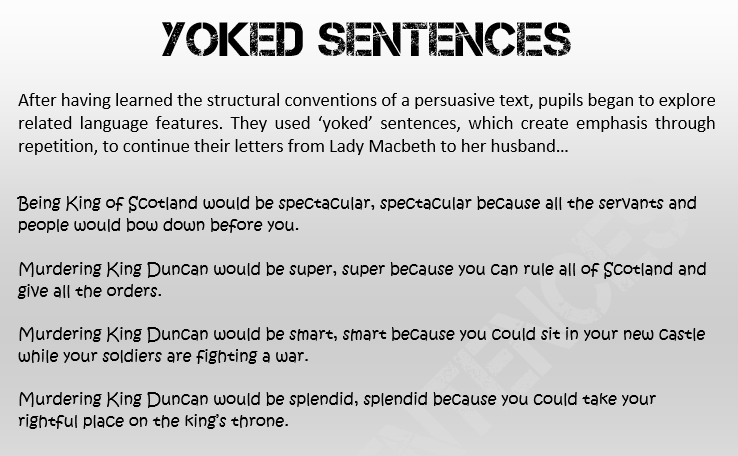 Later, it enabled pupils to consider concession, and its place in a persuasive text. This introductory section outline the writers point of view. 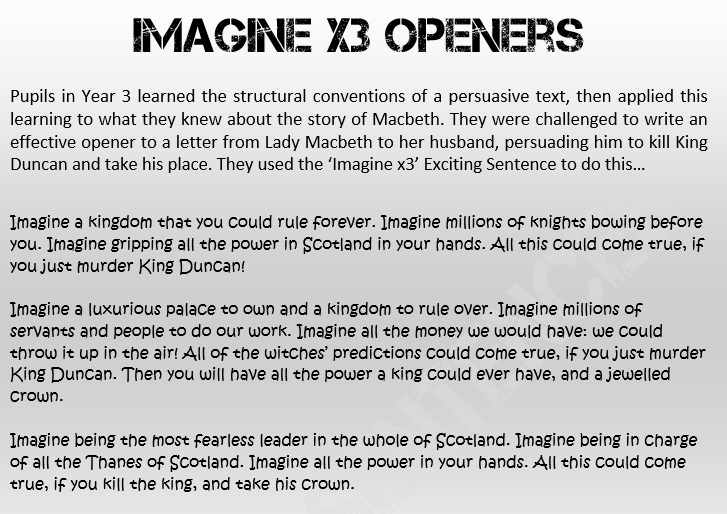 However, rather than just writing, 'I think you should kill King Duncan and take his crown', we looked at a more engaging way of conveying the persuasive point of view: the 'Imagine x3' opener. 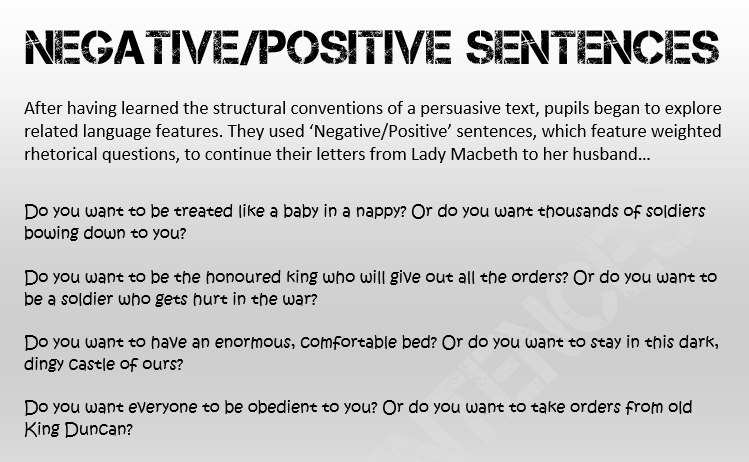 For what could be considered the 'main body' of the text, we looked at a range of persuasive techniques that would allow pupils to convey three distinct, convincing arguments. 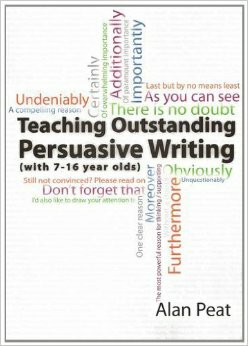 Although it may seem counter-intuitive to include an opposing argument whilst trying to persuade a reader, pupils soon understood, and were able to explain, that showing empathy towards your audience - assuring them and making them feel like you understand their concerns - can be just as convincing as the most persuasive of arguments. 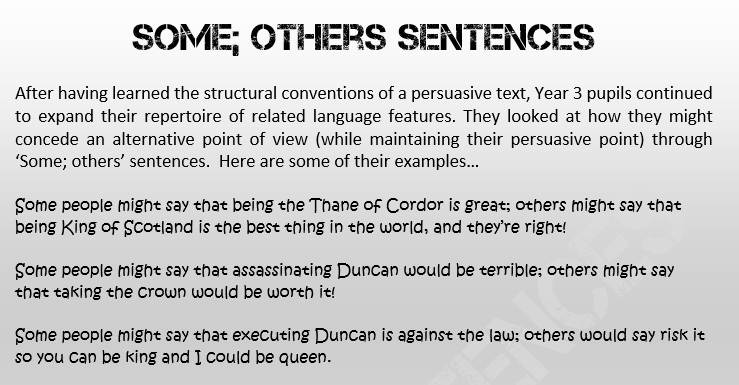 We used a 'Some; others' sentence to achieve this effect. 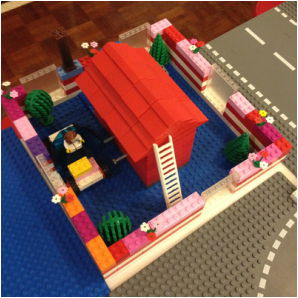 Improving locational writing with Lego! 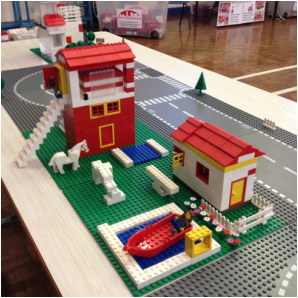 This free resource was developed to enable teachers to use Lego as a stimulus to inspire high level writing. 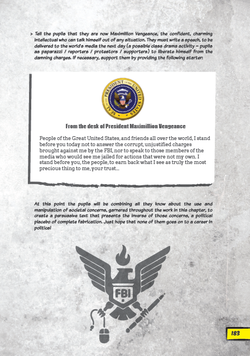 Scroll through the preview below and use the link to download the pdf! Last week we were visited by Stephen from Electro City Workshop. 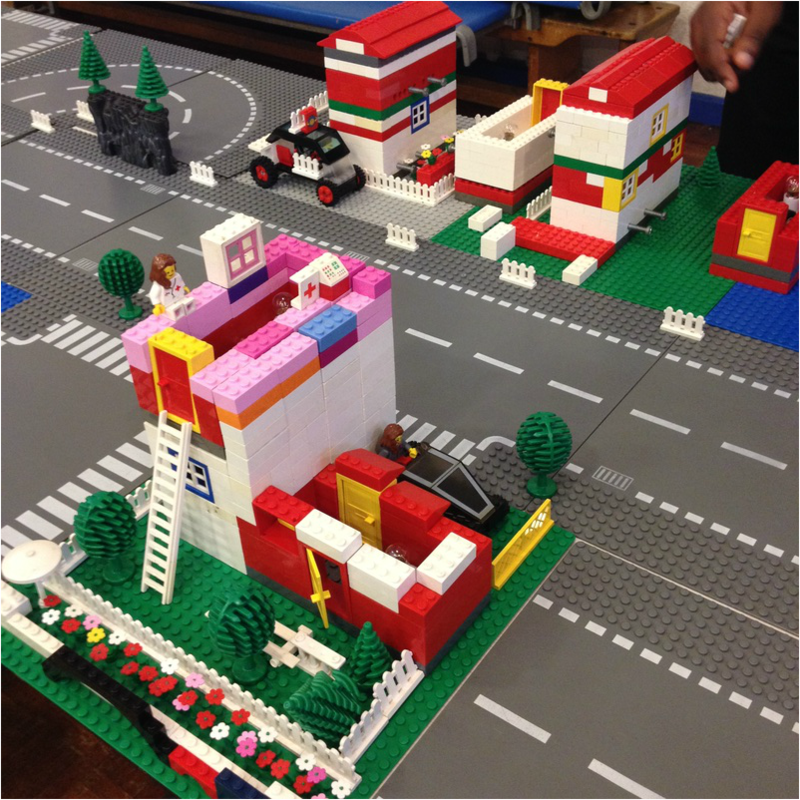 He brought thousands of Lego bricks with him, and worked with two classes to create entire Lego cities! 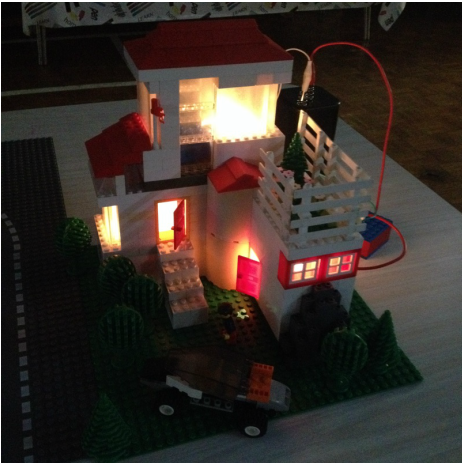 Stephen started each session with the whole class, explaining the basics of Lego construction and the goal of the day; to create a vast Lego city which would have electric circuits added to power lights inside each Lego base. 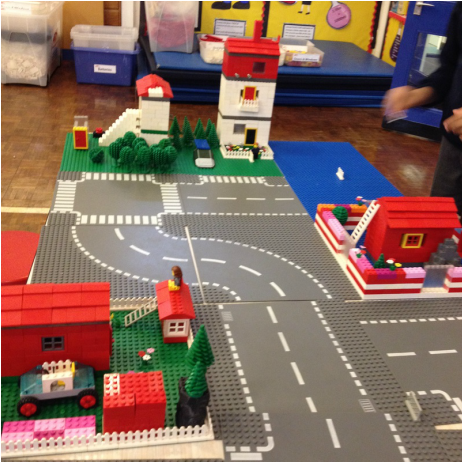 Once the individual houses were finished, Lego roads were used to link them together, creating streets full of amazing dwellings! 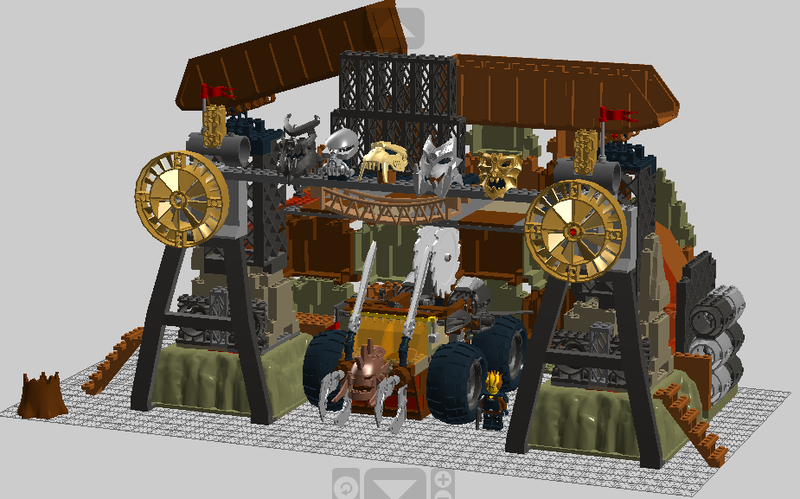 After the city was finished it was time to electrify! 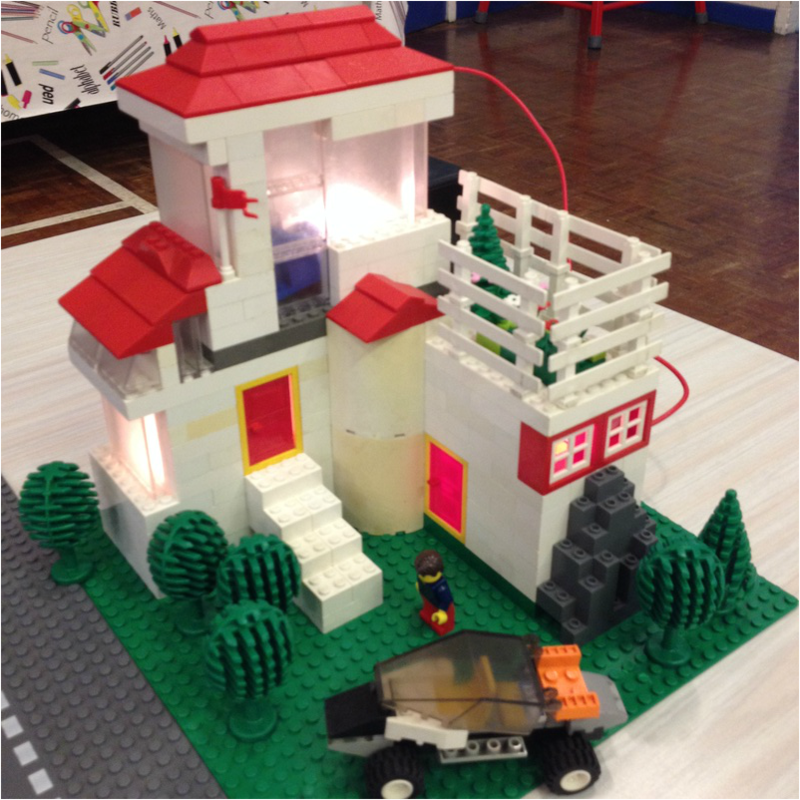 Stephen sat all the pupils down and showed them how to wire up a battery and a switch to each of the Lego bases. Some pupils had used as many as three bases, so Stephen also showed the group how to create parallel circuits. I could not recommend Stephen and the Electro City Workshop highly enough. 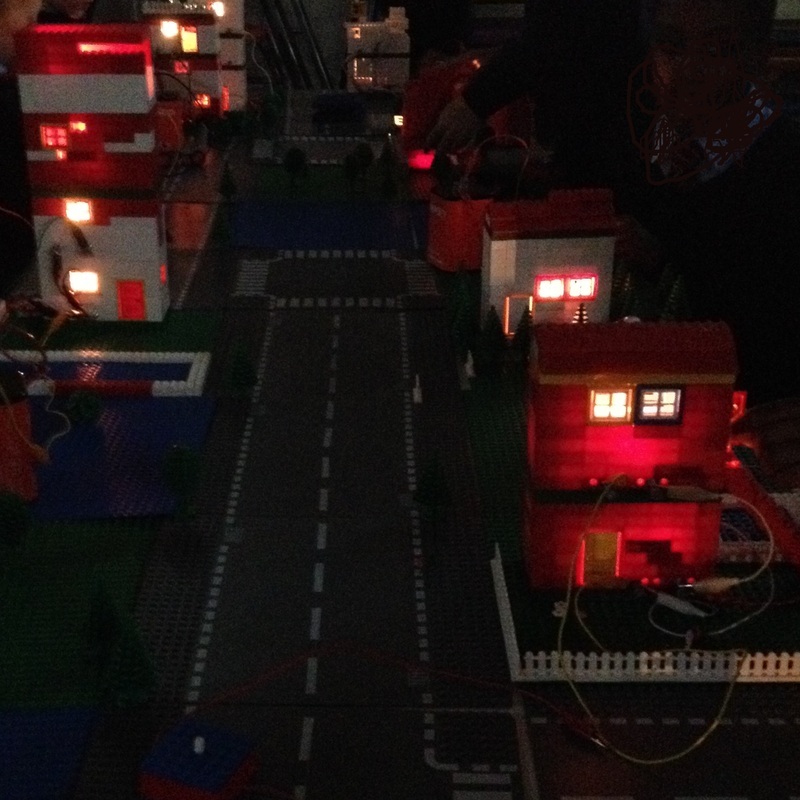 It was a well-organised, extremely well-resourced and fascinating day that saw every pupil fully engaged, expressing their creativity whilst learning about the science of electricity. Book your workshop now! 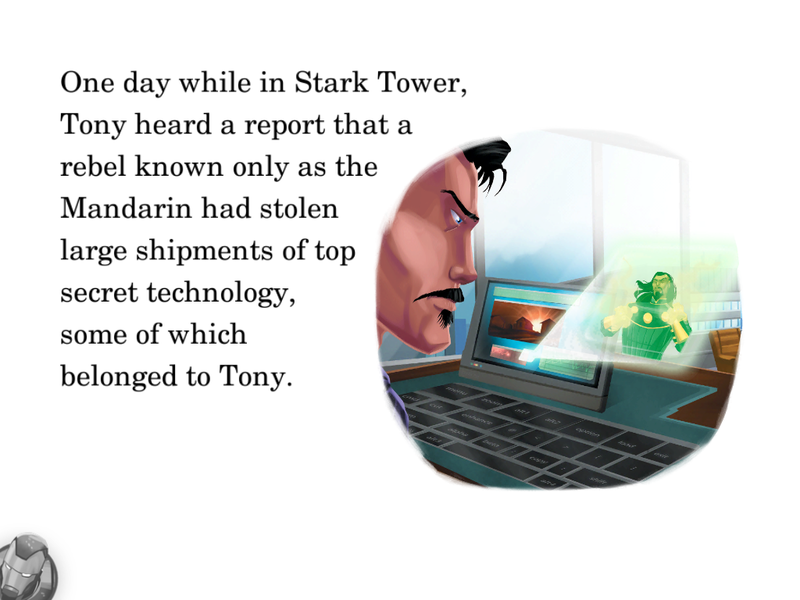 Marvel Reads - the FREE interactive story of Iron Man and the Mandarin! As it turns out, this was not a stupid question at all! Once again a helpful tweecher had shared something that I wasn't aware of, so I hastily downloaded the recommended app. I was expecting some sort of animated fact file on a few key characters. What I got was much different, and MUCH more exciting. 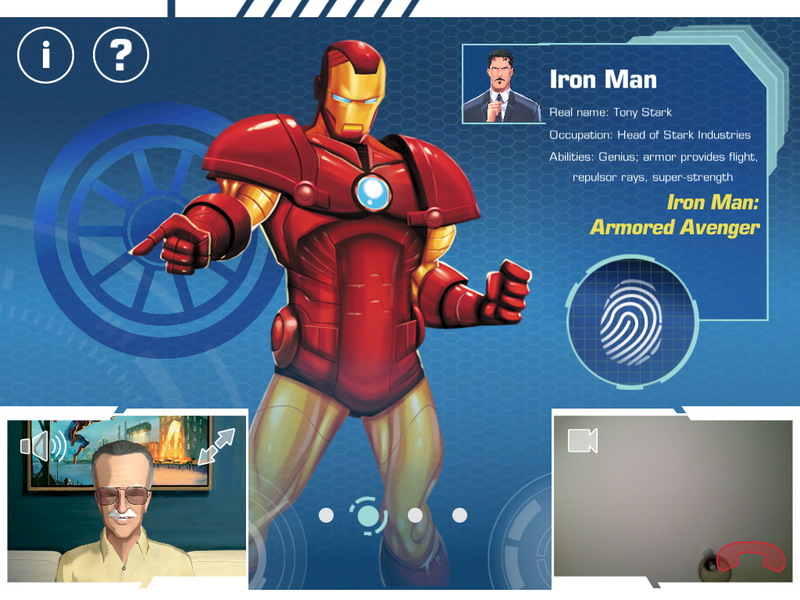 Starting with a brilliant animated faux-Skype call with the man himself, Stan Lee, this app turned out to offer a collection of interactive stories based on a cast of Marvel favourites. 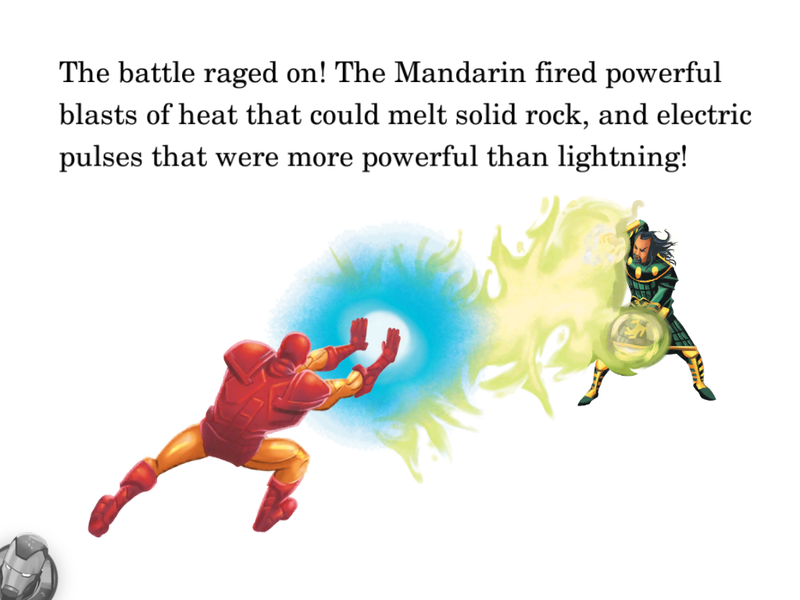 Included in the app for no cost, was the story of Iron Man and the Mandarin, so I delved straight in! 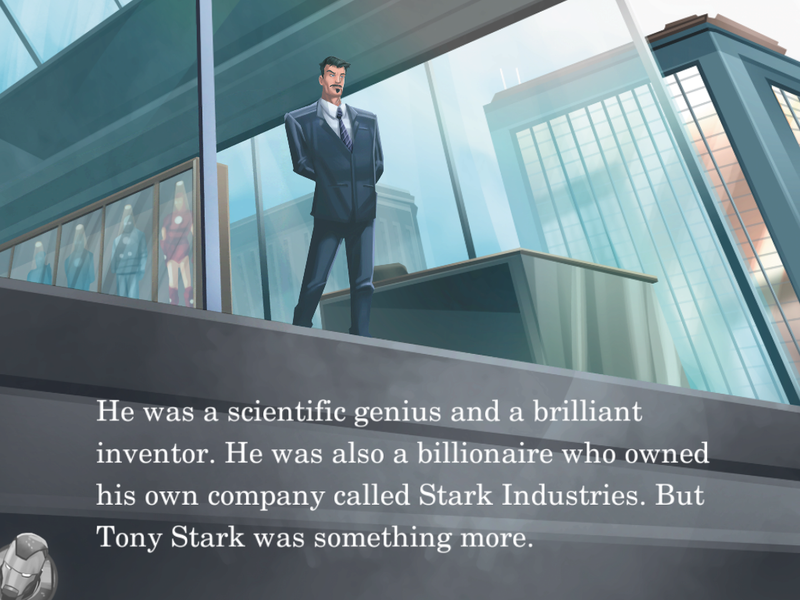 The story began with an introduction of Tony Stark, and embedded in each page were actions for the reader to complete, such as swiping to reveal his armour, and activating a screen to allow Tony to view the breaking news that would form the dilemma of the narrative. All this accompanied by a continuing narration from Stan Lee! 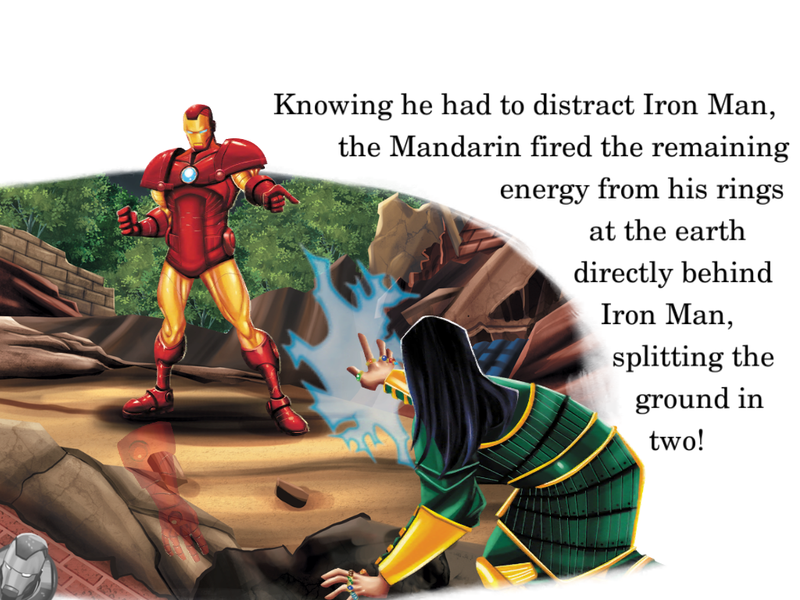 As the action heats up, the reader helps Iron Man suit up, and eventually takes control of the character in a mid-story game to do battle with the Mandarin! 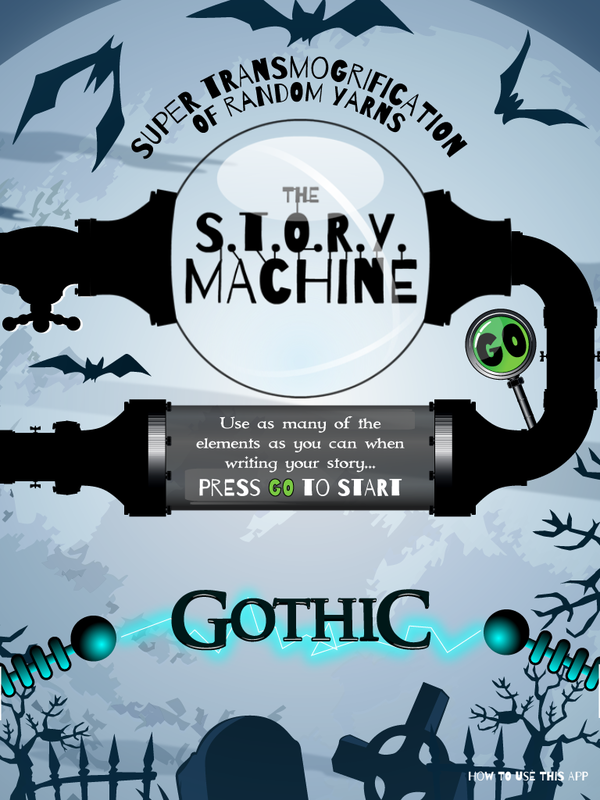 The animation which accompanies the story is wonderful, and the vocabulary used is exciting and engaging. 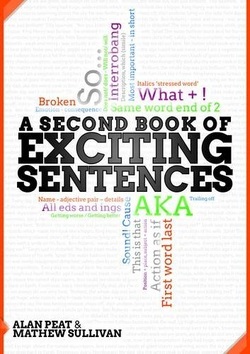 It would be a fantastic resource to use as a stimuli for teaching a whole range of writing techniques, including the Exciting Sentences. 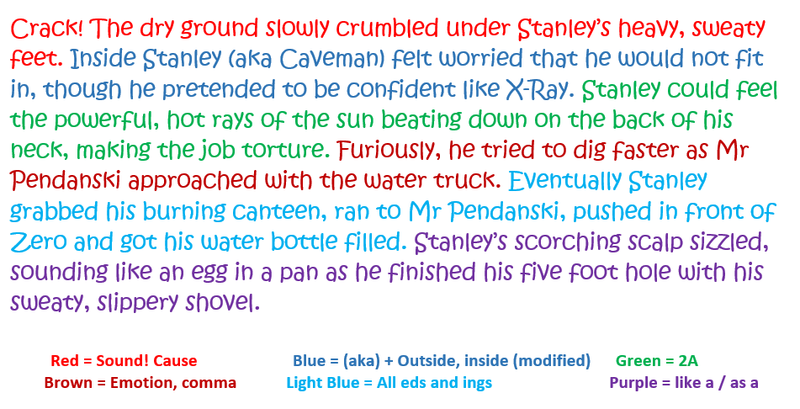 Examples of the Exciting Sentences can be found throughout - here is an expanded '_ing, _ed' sentence! Detailed animations which move in slow motion can be captured and used as a stimulus for descriptive writing. 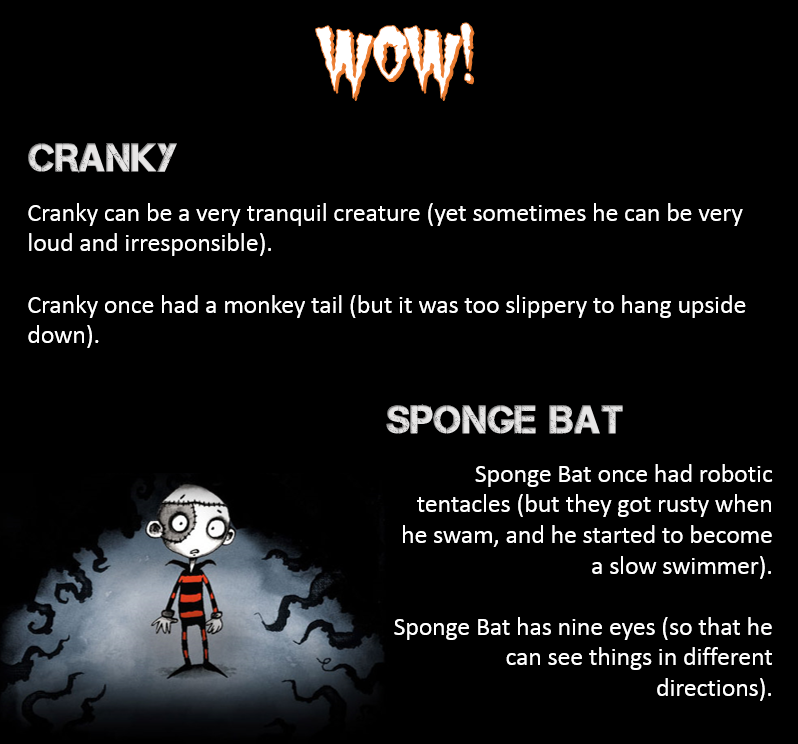 Combine them with the Exciting sentences for additional impact! 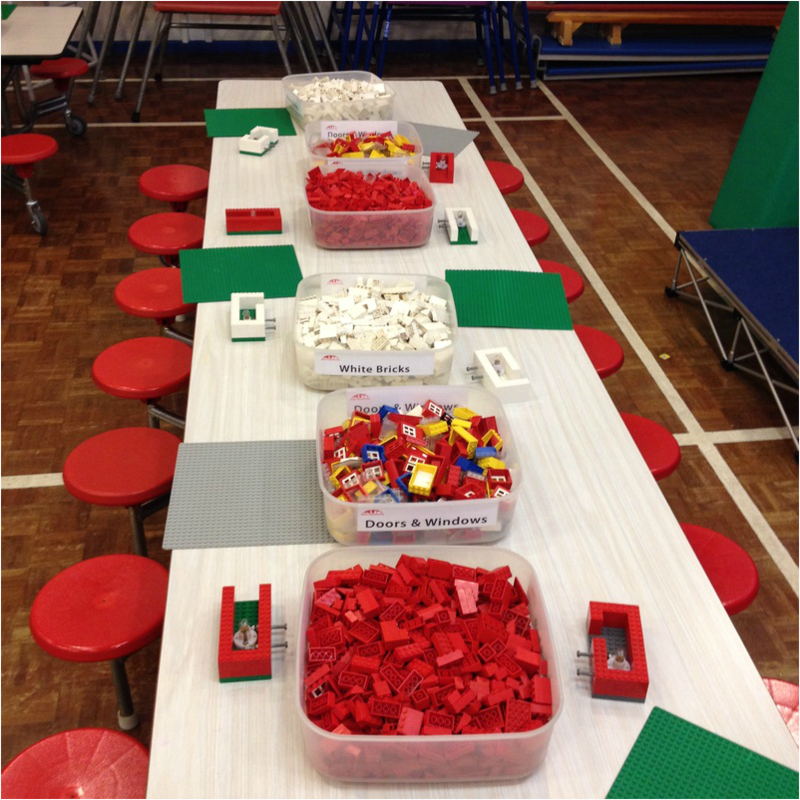 Here we can see an 'As Adverbial' perfectly situated after speech - a great way to expand dialogue work in class. 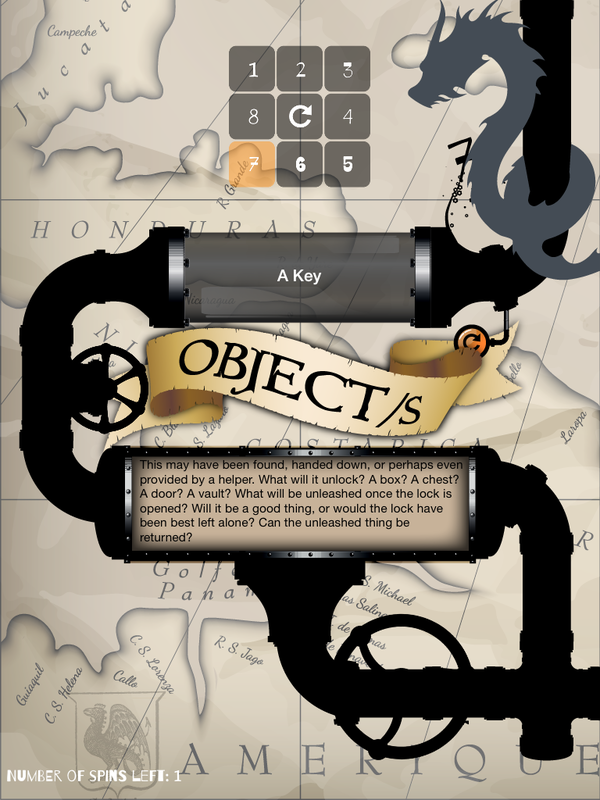 I was thoroughly impressed with this app and am already planning ways to integrate it into my literacy teaching. 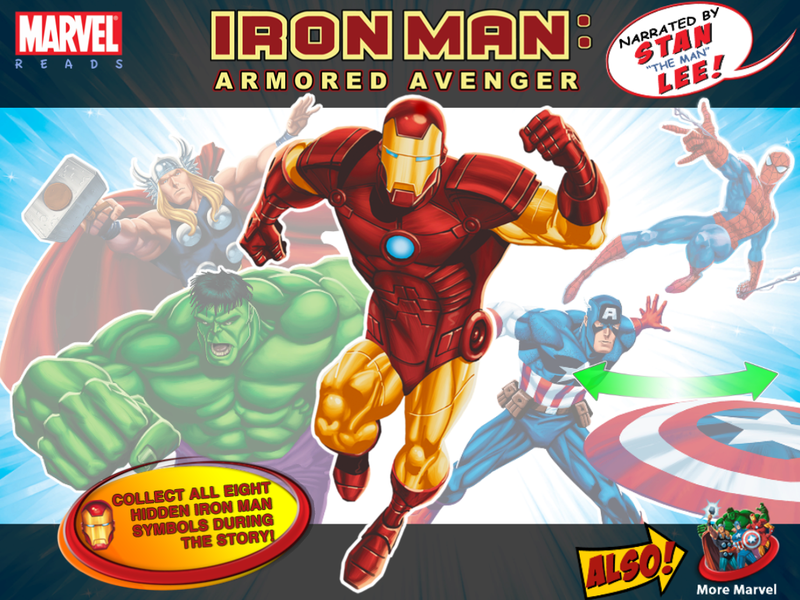 I think that this level of interaction and entertainment can't help but engage young readers, and I do think that, crucially, Marvel has maintained a high writing standard, which in turn helps teachers to harness the enthusiasm generated by an app like this and use it to achieve high-quality writing results. And the best part of all...it's free! Download it here. Teaching the Noun, who/which/where, - a handy strategy! 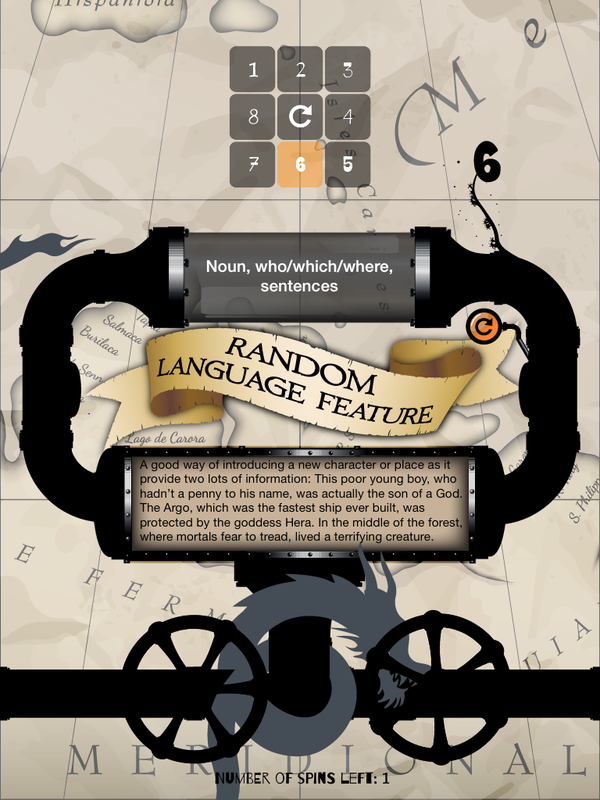 This method helped pupils to avoid the loss of the second comma, a prevalent problem when this sentence type is first introduced, and it also gave pupils a good understanding of the function of the sentence in terms of delivering descriptive information concisely - perfect for introducing new characters. Finally, it provided an effective way of taking something that developing writers can do fairly confidently (creating basic descriptive sentences) and showing them a simple way to combine two of these simpler sentences into a more complex construction. 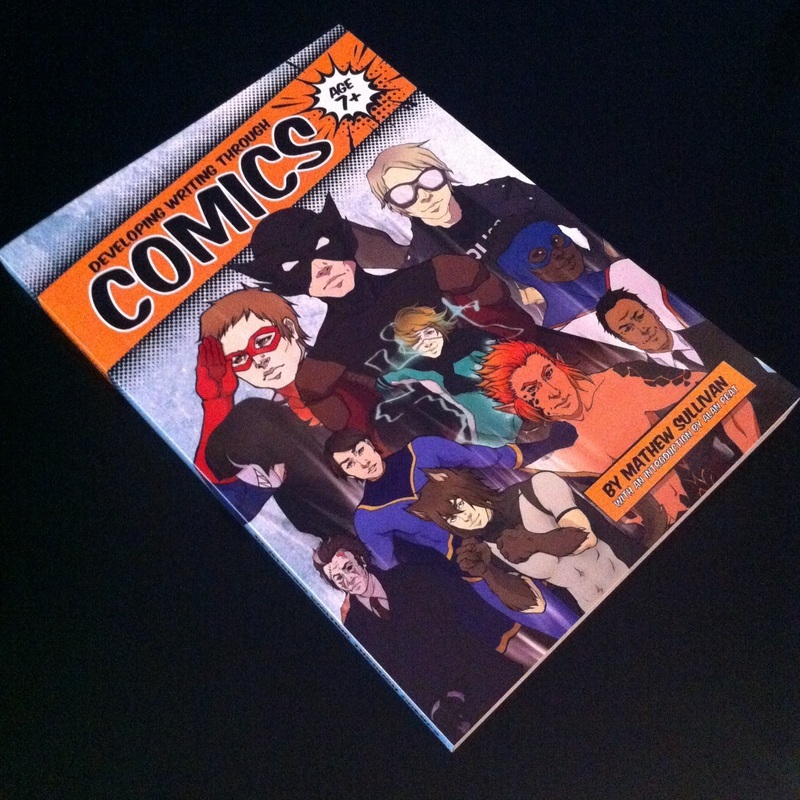 Three years in the making...Developing Writing Through Comics is finally here! This brief introduction, including a foreword by Alan Peat, explains the thinking behind the book and answers the question: 'Why use comics in the classroom?' It dispels comic myths and provides a firm basis for the ideas presented throughout. 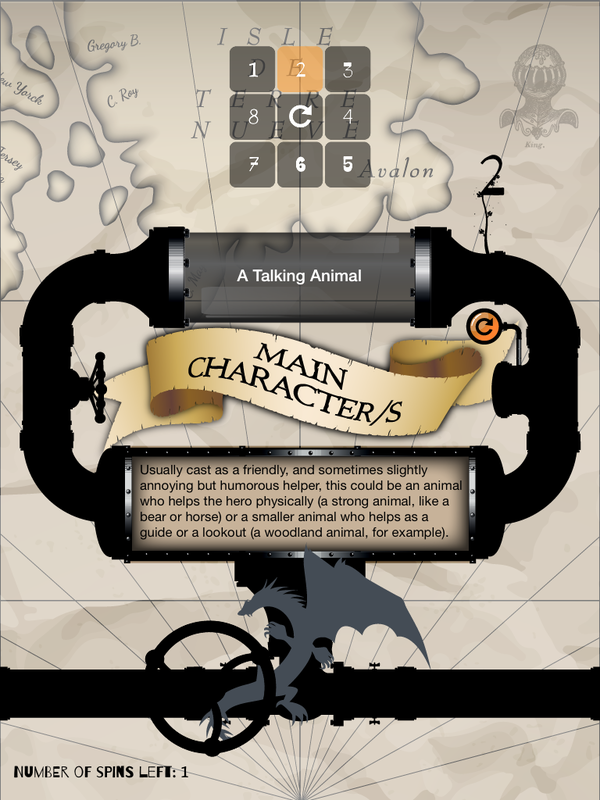 This section also explains how the book is organised, including the quick-reference activity summaries, whilst giving readers a first-look at the unique cast of characters that were created especially for the publication by talented artists KL Kwan and Ian Crowford. This chapter uses the fantastic comic/novel hybrid Atomic! The Vengeance of Vinister Vile by Guy Bass as its main source of inspiration to help develop a range of reading and writing skills, including creating engaging openers, converting comics to written narratives, inferring continuations of incomplete stories, fact-finding, inference making, close-reading skills, empathy, reading into writing, cross-genre writing and improved comprehension techniques. 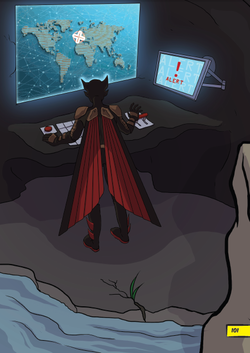 Chapter 3 takes a detailed look at the planning process, offering a new, innovative and engaging way to plan writing through the medium of comics. 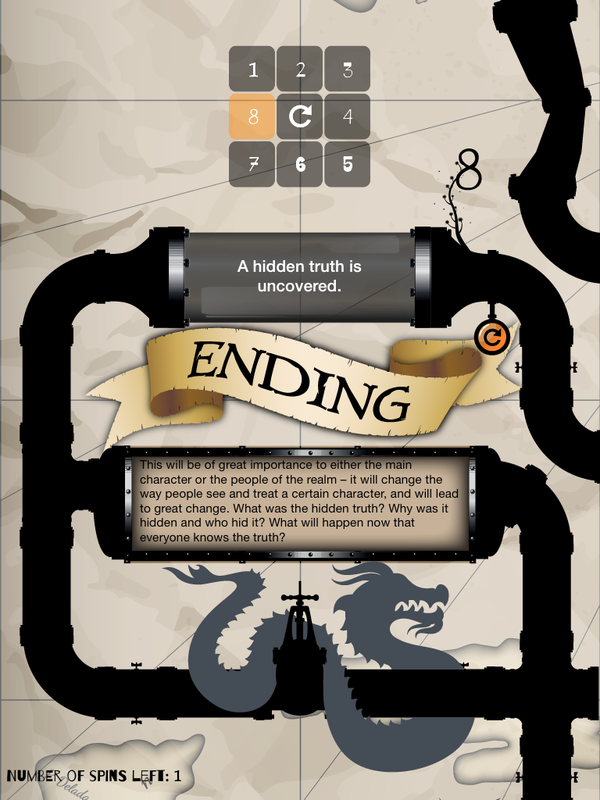 Once explained, it goes on to cover a selection of useful skills, like telling stories from different perspectives, sequencing action to build excitement, planning quickly with 'plot skeletons', inferring and planning narratives from wordless comics, planning independently using real world stimuli, manipulating timelines, planning for effective openers, writing flashbacks, creating effective endings and switching stories around. This chapter focuses on character development, and looks to introduce the skills needed to create well-rounded, believable, engaging protagonists who act, interact and react according to their specific traits. 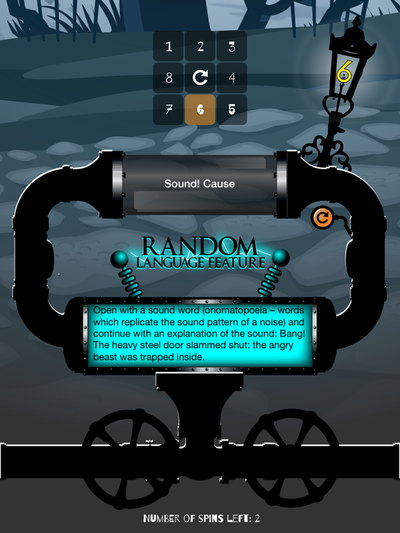 It covers a range of techniques, including expanding moral perceptions, developing empathy, writing in the first-person, creating origins stories, using characteristics to inform actions, developing character complexity, commenting on a character's thoughts, using similes and metaphors in character work and describing body language. 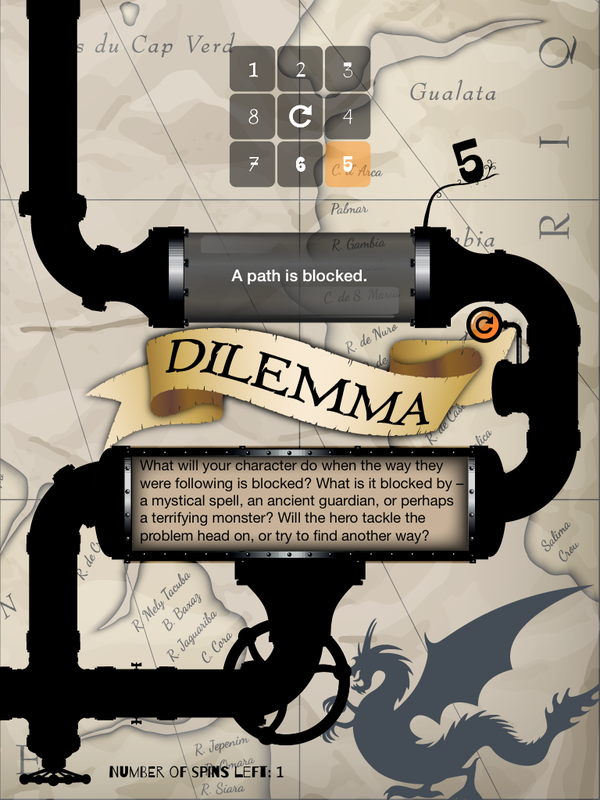 In the fifth chapter the focus is on locational writing, with the intention of showing how, using the correct techniques, the setting can actually become just as much a character in a narrative as any other protagonist. 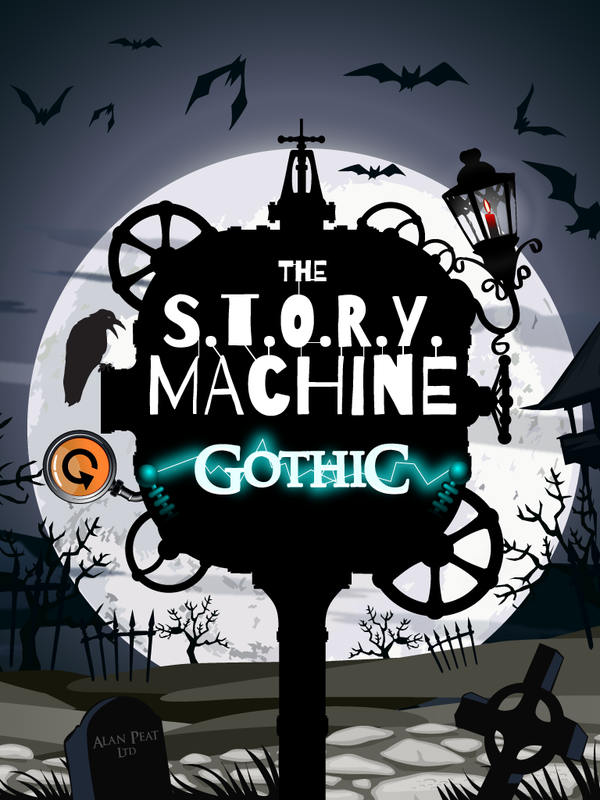 It will cover things like generating exciting locational vocabulary, expanding setting descriptions, using figurative language, creating multi-sensory descriptions, describing settings from a character's perspective, describing real-world locations, using personification and pathetic fallacy. Everyone's favourite topic! 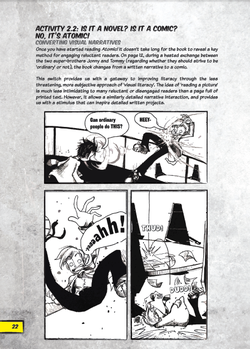 This chapter will show how even the 'nuts and bolts' of writing can be made fun, engaging and accessible through the medium of comics. It will also show that these skills, when taught through an engaging comic stimuli, stick and are applied much more readily. It covers a range of topics and activities, such as developing punctuation through dialogue, using the question mark for disbelief, expanding use of the exclamation mark, manipulating speech, appropriate apostrophe and ellipsis use, improving editing skills and switching perspectives, not to mention a whole host of word games! 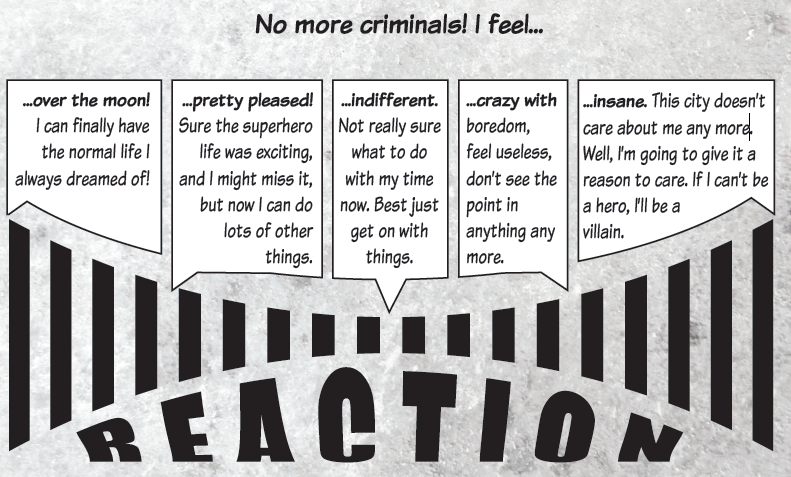 In the final chapter we move away from core writing skills to show how comics can also be used as a means to access more complex topics and cross-curricular areas. Activities include creating war propaganda, analysing themes in older literature, exploring ancient history, writing persuasive political documents, questioning morals and spirituality, dealing with bullies and racism, writing dystopian fiction and exploring self-identity. Bet you never thought comics could be so deep! 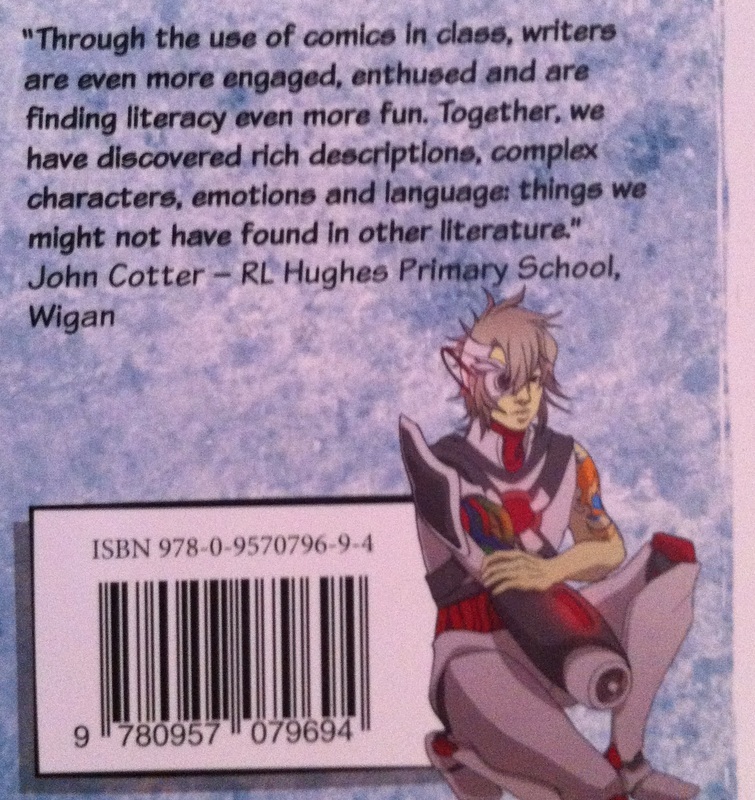 Developing Writing Through Comics is available now - order your copy here! Exciting Sentences + Slow Writing + Holes = recipe for success! I am forever extolling the virtues of teaching spelling, punctuation and grammar as integrated writing tools rather than disassociated, isolated skills, as pupils who know how to USE grammar accurately will certainly be able to identify rules in a poorly-conceived test. 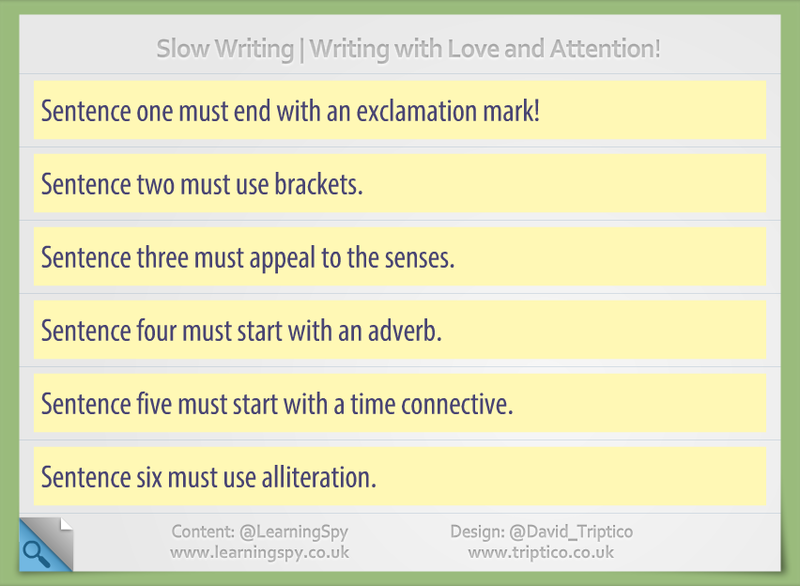 Slow writing is another great resources to support this, and when teamed with the Exciting Sentences and an engaging stimulus, it is truly inspiring! As a lesser-known comic, Guardians of the Galaxy could be a great subject for writing activities, as although it maintains the 'cool factor' of being a Marvel film, many pupils may never have even heard of it. By the end of the trailer though, they will know that the Guardians are actually a rag-tag bunch of criminals, thrown together with the goal of saving twelve billion people! 1. 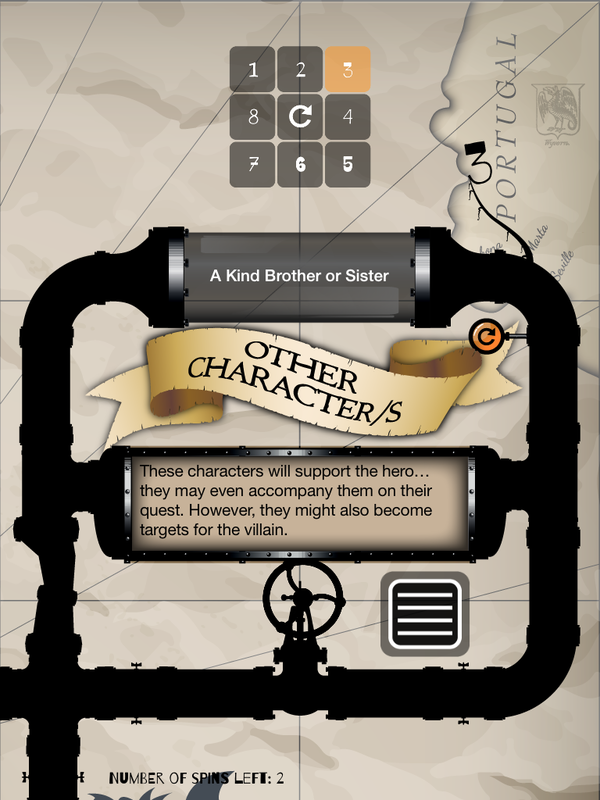 Write character origin stories (fiction) or reports (non-fiction) for each character. Challenges included in this would range from explaining where 'Starlord' - a human - got his rocket packs and face mask from, and what they do, all the way to explaining why Groot (the gigantic tree-being) appears the way he does. This could also be extended to reports on the home planets of each character. 2. 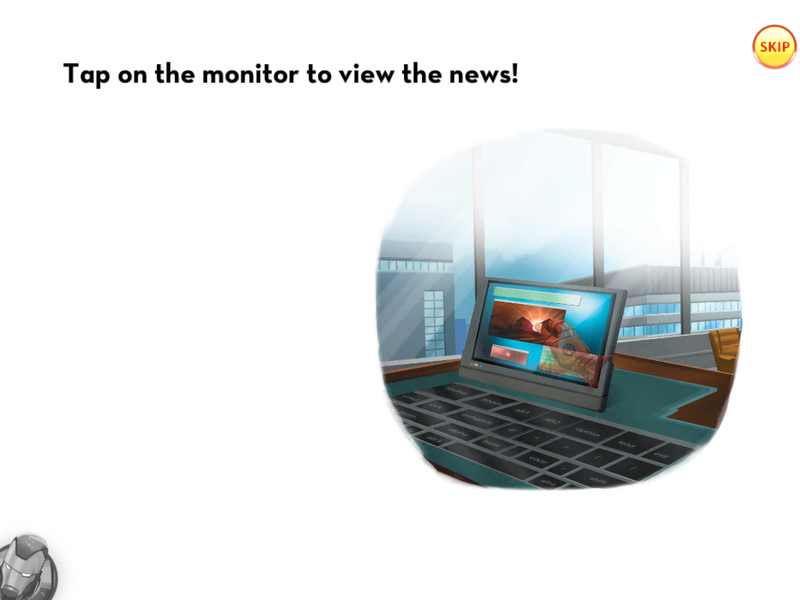 Write a newspaper report on the escape of one of the criminals. This would obviously involve imagining the planet that they were on, the crime they were convicted for, the details of their escape and predictions as to where they might have gone. 3. 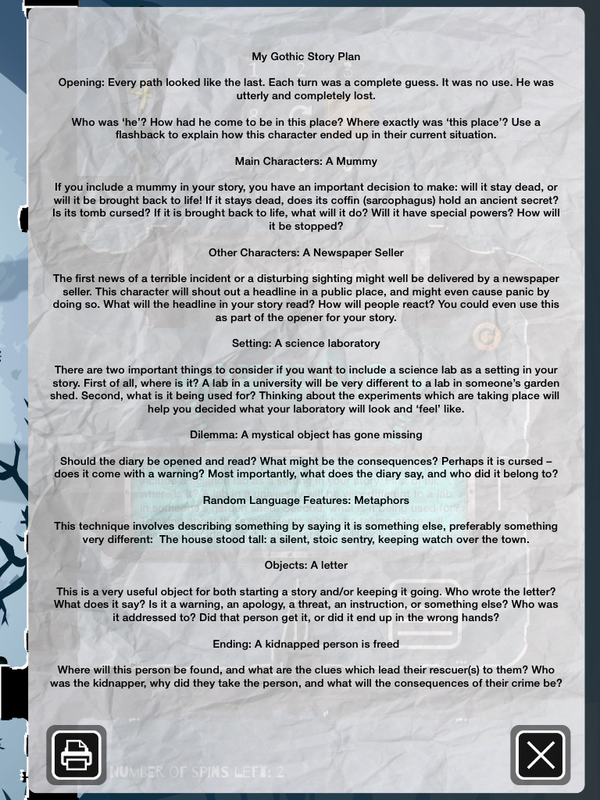 Write the story of the group coming together and saving the planet from the perspective of one of the characters (could be in the form of a diary). Groot would be particularly good for this one, as all he is capable of saying is "I am Groot", so pupils would have to tell the story from inside his head! Rocket Raccoon would also be interesting to hear from because, well, he's a raccoon! 4. Vocabulary challenges - based on an idea from Alan Peat, pick a letter of the alphabet and challenge pupils to name as many things that begin with that letter as they can by the time the trailer ends - the best game of I-spy ever! 7. Write a persuasive letter to the Head of the Planetary Coalition to convince them as to why the Guardians of the Galaxy should be given the job of saving twelve billion people. 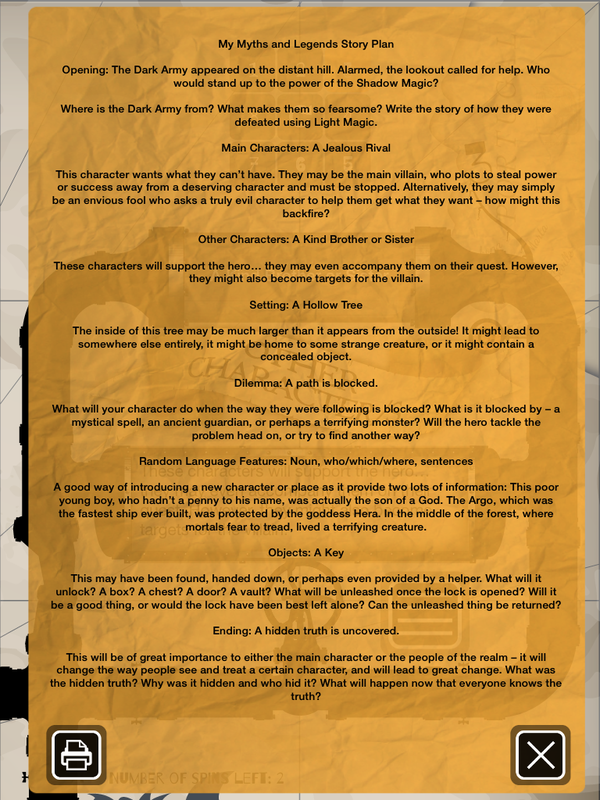 In it they will have to turn negative perceptions of the characters into positive points, looking particularly at what skills each member would bring. 8. 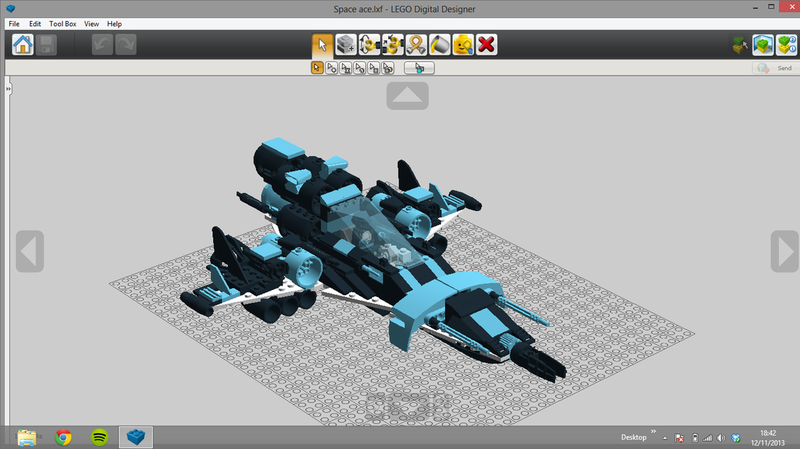 At 1.17 the Guardians are flying towards a planet which looks like a gigantic, floating, evil, robotic severed head. 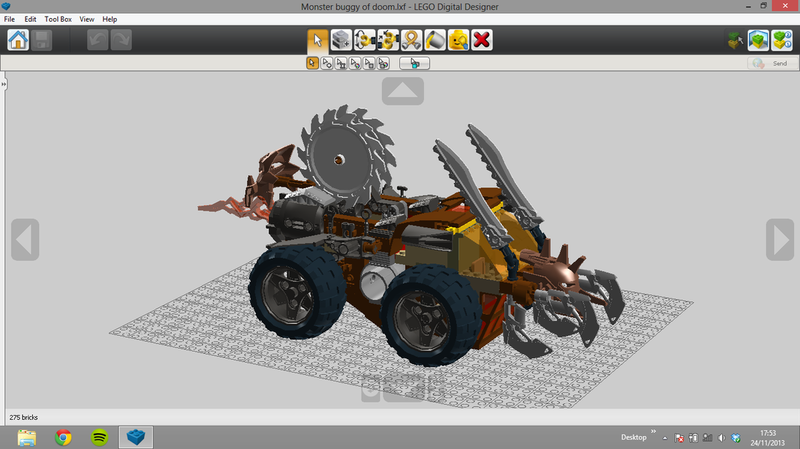 I think this one kind of writes itself! 9. An idea from Mr Parkinson - write the story of the trailer in a tweet! That's 140 characters exactly! 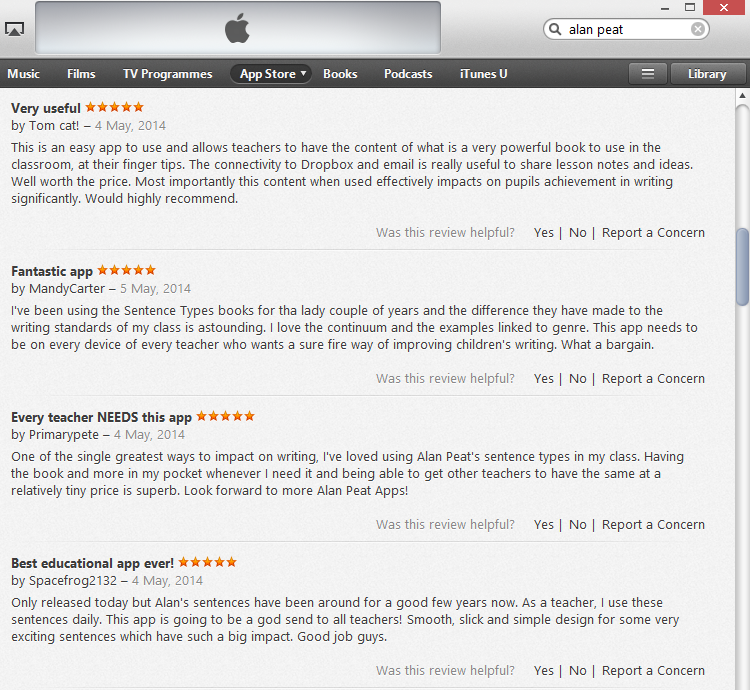 When I share the work that goes on in my class, many people seem particularly impressed by the vocabulary used. Subsequently I am often asked how I develop pupil vocabulary. One invaluable way I do this is via a technique I developed two years ago called 'The Register Word Workout'. The idea is simple enough - rather than responding with a "Yes Miss/Sir," to the register, the teacher asks for the response to be in the form of a certain type of word, or a word with a certain spelling constraint. People who have tried this in their classes, starting with the basics (asking for an adjective, a past tense verb etc.) 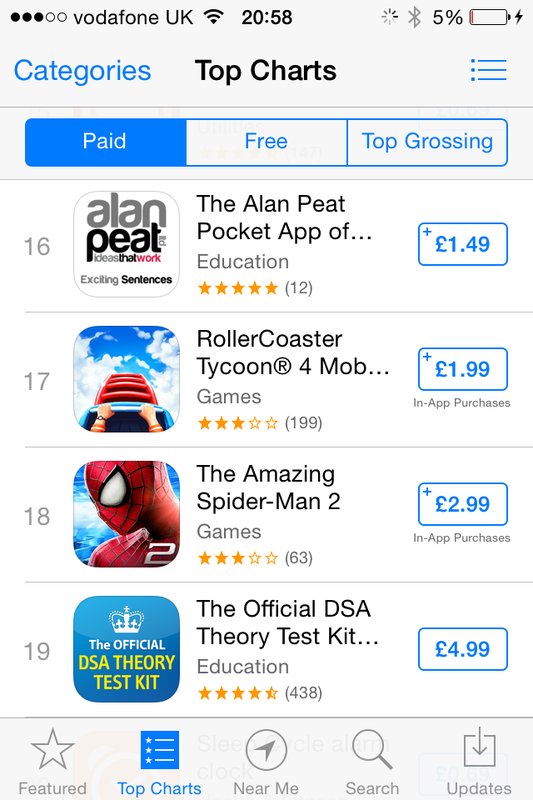 and building up, have all commented on what a dramatic difference the strategy makes in a short space of time. I soon started to tweet examples of responses - and as you can see from the gallery below, I am having to make the challenges quite complex in order to stay ahead of the class! Give it a go in your class - start every day with a Word Workout! I was pleased to be able to contribute to the app with Introductory/Intermediate/Higher order language examples for each sentence type. 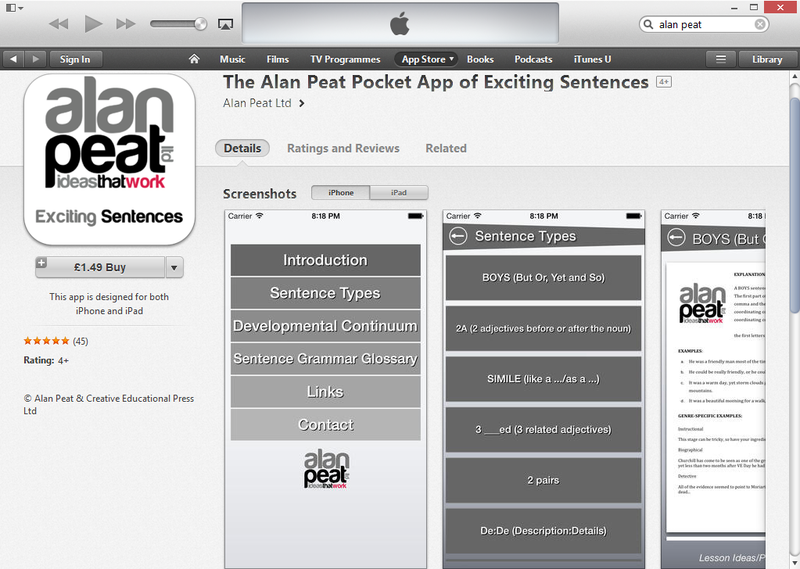 These demonstrate the accessibility, usability and high-level potential of all the Exciting Sentences. 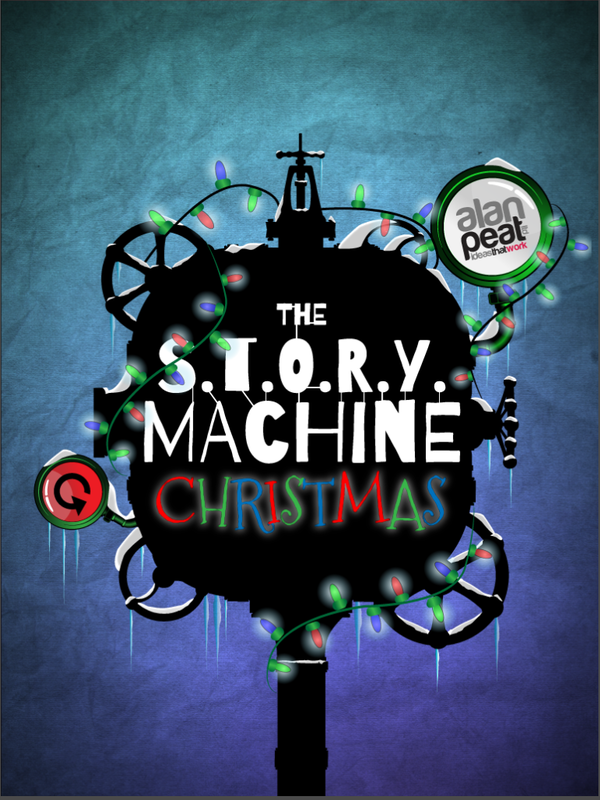 Download your copy here and see what all the fuss is about! Want to improve vocabulary? 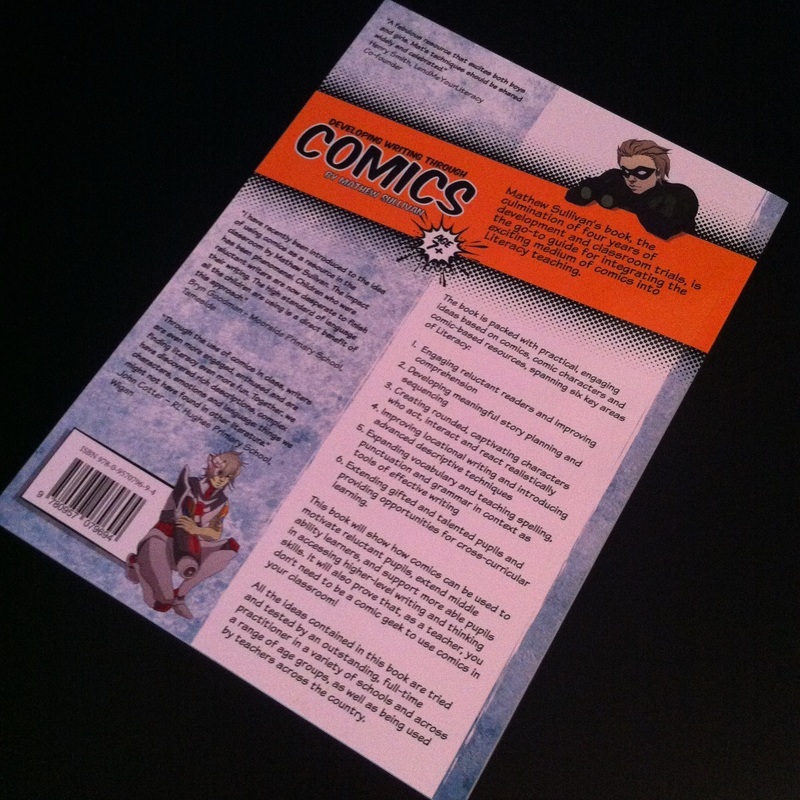 Put comics in your classroom! This comic cost me £2.99. If I'd have waited a week or two I might have been able to get it even cheaper - I can regularly be found rummaging in the overstock boxes at my local comic shop, picking up cracking issues full of useful stimuli for 50p. 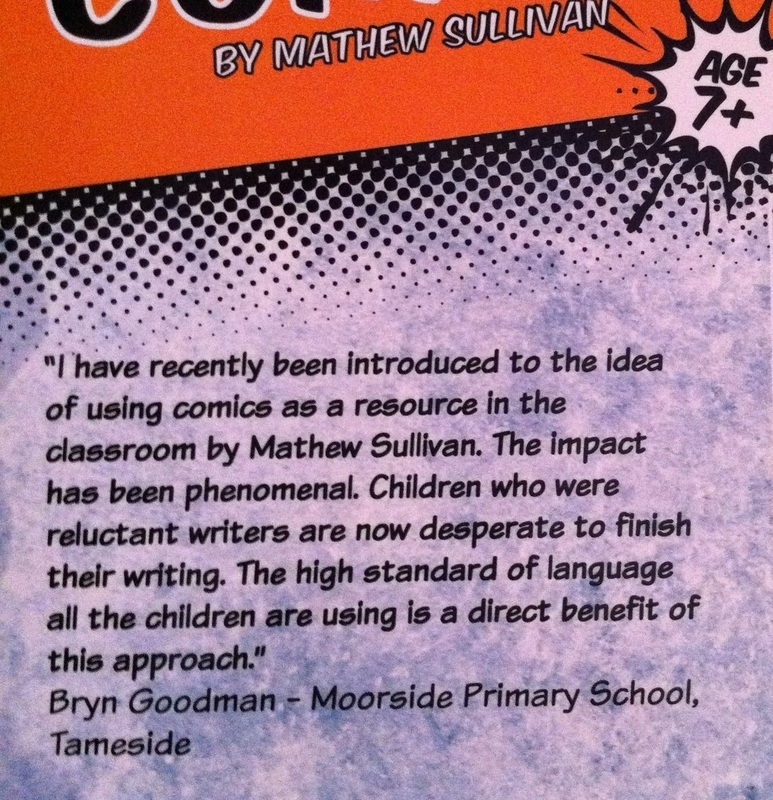 I urge you to do the same - put some well chosen comics in your class library and watch children gravitate to them. Then, once hooked, use them to open up discussions about the fantastic vocabulary, timeless characters, and the great stories they present excited readers with. 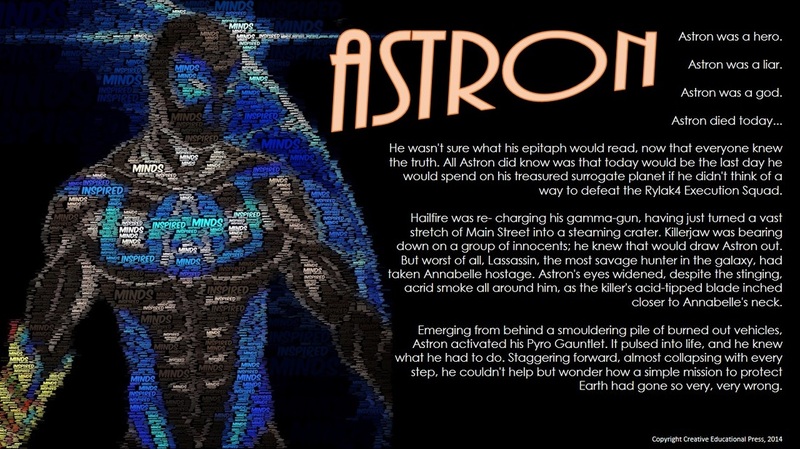 Share this with your class - who do they think Astron is? 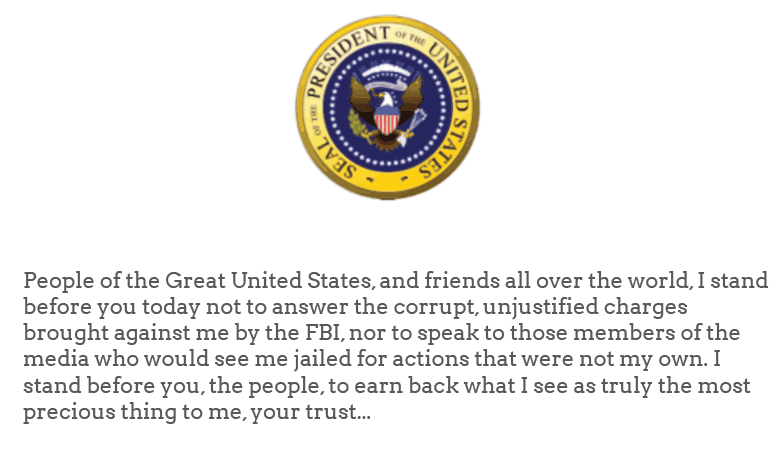 Two letters long, unlikely to stick out on a page. 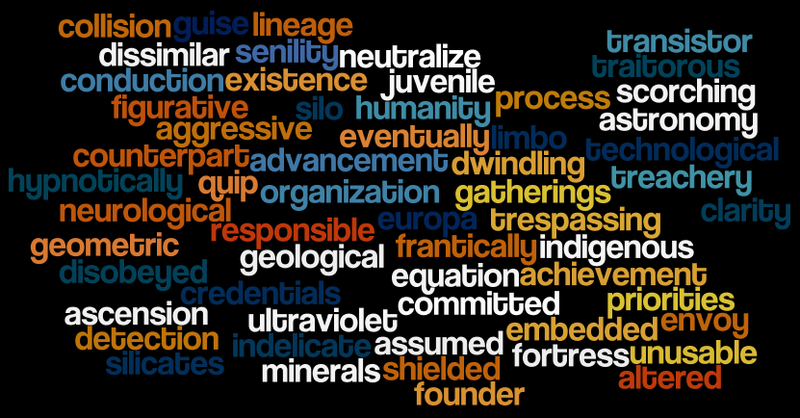 And yet, it is one of the most versatile and useful words I’ve ever taught in my class. "Run as fast as you can!" Superman bellowed at Lois. 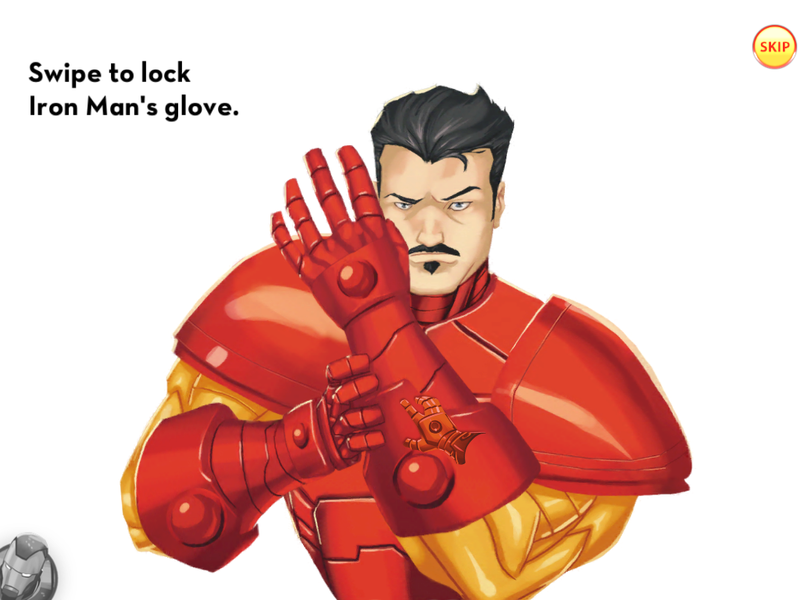 Iron Man was as powerful as he’d ever been. Batman looked grave. "As many as twenty-two inmates have escaped Arkham Asylum"
As Spider-man watched Doc Oc intently, prison guard opened the lock. "They can do as they wish," thought Green Lantern, walking sorrowfully away from his brothers. “As you can see, I never even left my cell!” protested the Riddler. As the journey was long, the Avengers boarded the Helicarrier. Evil as he is, even Luthor knew his limits. It came as a surprise that the Joker was capable of empathy. He had often been quiet as a child, but Clark Kent had a deep kind of strength. So, nine different uses so far for one tiny word. Pick up any adult literature and you will find ‘as’ all over the place. Tomorrow, look in your pupils’ writing. Have they used it anywhere other than perhaps a simile? Unlock this tiny word for your pupils, and watch the effect it has! 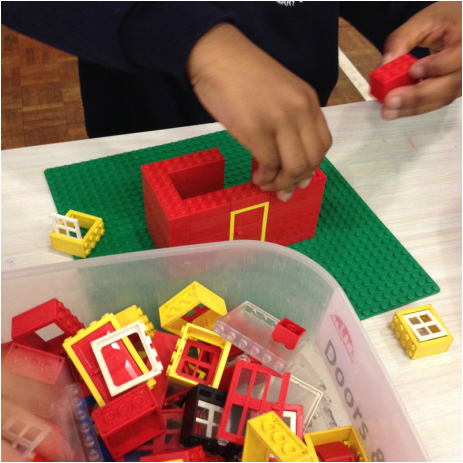 Lego - providing the building blocks of great writing! I'm sure by now you will have realised that I am a big kid. 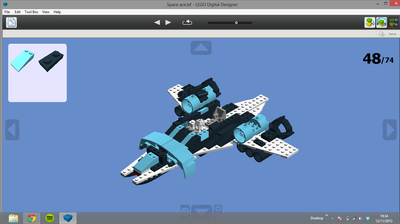 Imagine my excitement, then, when I discovered a FREE piece of software on the Lego website which provides you with an inventory of pretty much every Lego brick ever, and allows you to build anything you can think of as a 3D computer model! And all this for FREE! 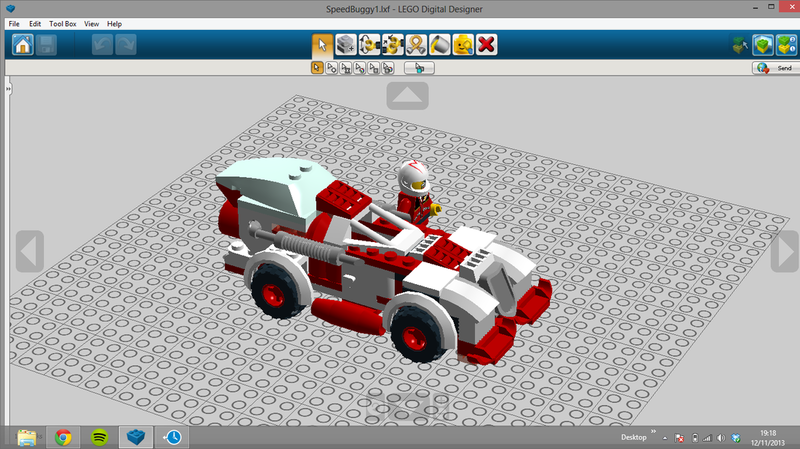 just go to http://ldd.lego.com/en-us/default.aspx?icmp=COUKCreateShareSL100LDD and follow the download instructions - happy building...and writing! Late last year our school welcomed visitors who wished to explore our approaches to reading and writing. 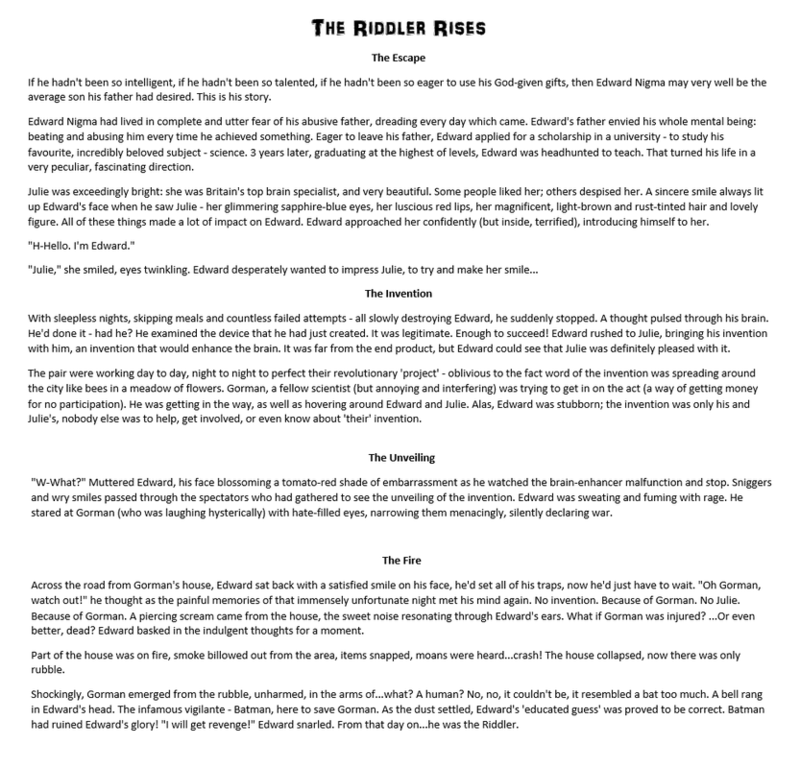 The ensuing conversations made it apparent just how much the reading done in the school contributed to the writing, not least by providing a wealth of exciting vocabulary to explore and harness. After demonstrating a range of word games I use to expand and consolidate vocabulary, I got to thinking about other activities a teacher might use to the same end. 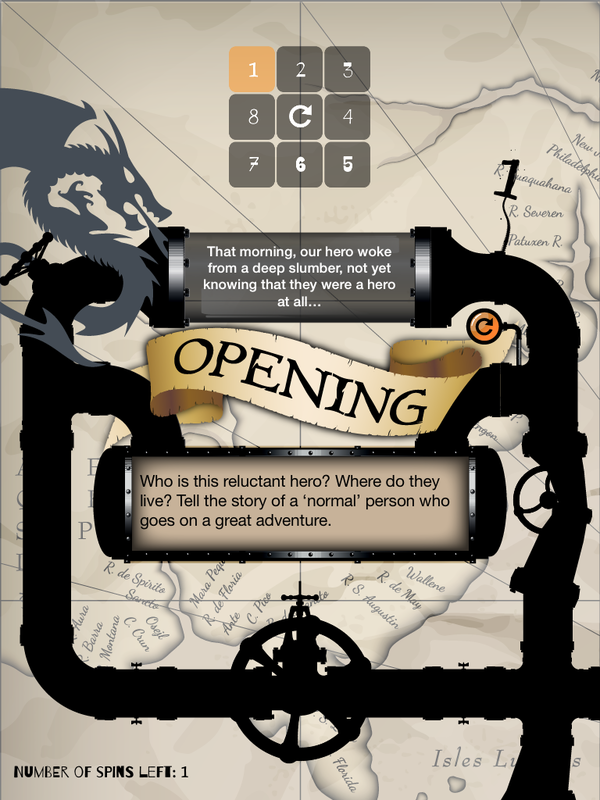 Comics in the classroom - more movie trailer writing ideas! 1. Prepare persuasive arguments as to why the humans should or should not reveal the whereabouts of Superman. Use these to support a debate in class where pupils decide Superman's fate. 2. 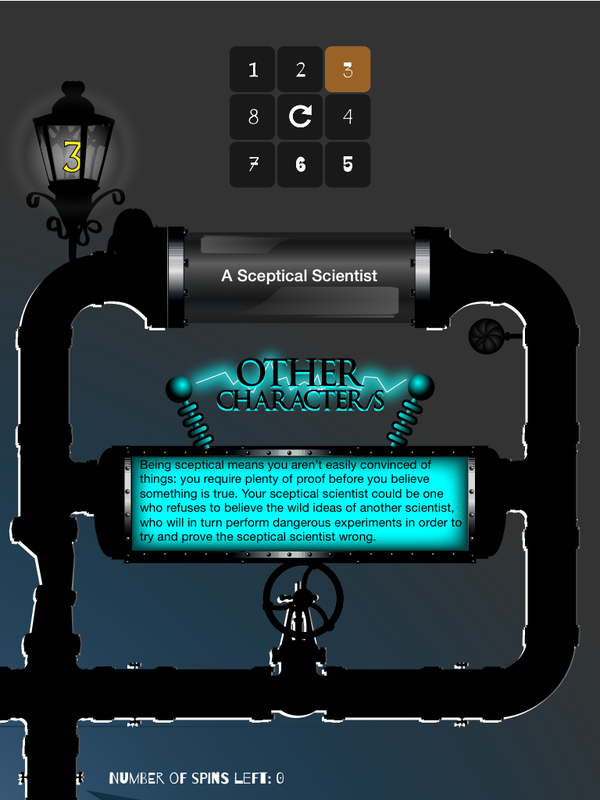 Create a everyday 'person on the street' character and write their account of the UFO landings. Work on conveying the actions using informal language, and focus on seeing things from a single, quirky perspective. 3. 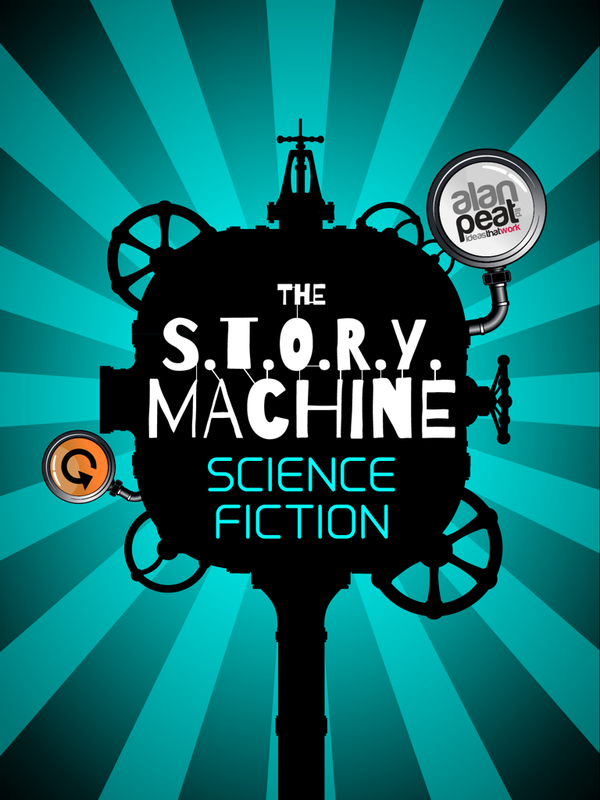 Watch the scenes that feature the alien technology (ships and suits) very carefully, then write a technical report which describes how the vehicles and armour work, what they look like, and what they can do. 5. Simply write the epic battle scene between General Zod, his warriors, and Superman! 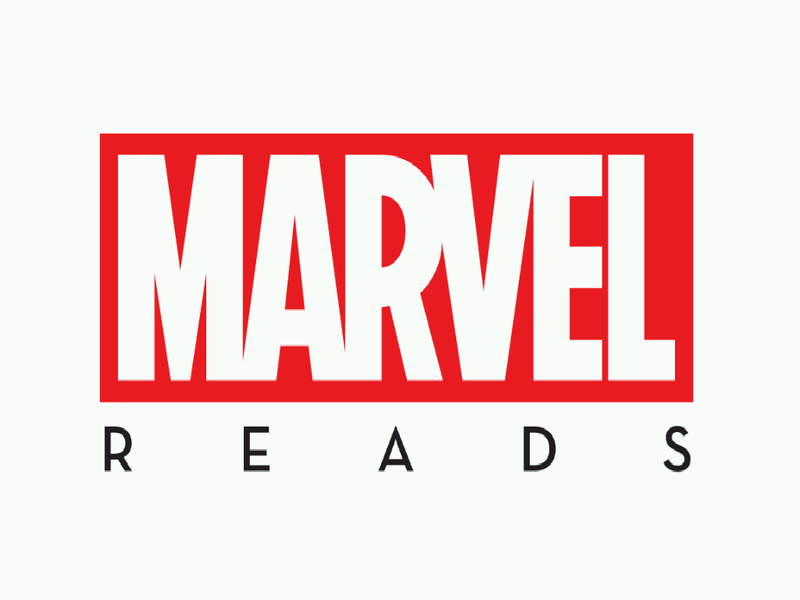 Comics in the Classroom - Movie Trailers! 1. 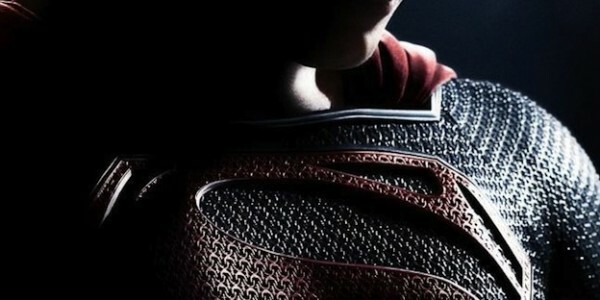 The destruction of Krypton – Superman’s home planet – is shown briefly at the start of the trailer. 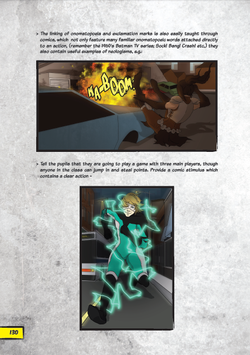 Use inference making skills, based on this action sequence, to write the story of the fall of Krypton. 2. At the end of the trailer an incarcerated Superman is interviewed by reporter Lois Lane. 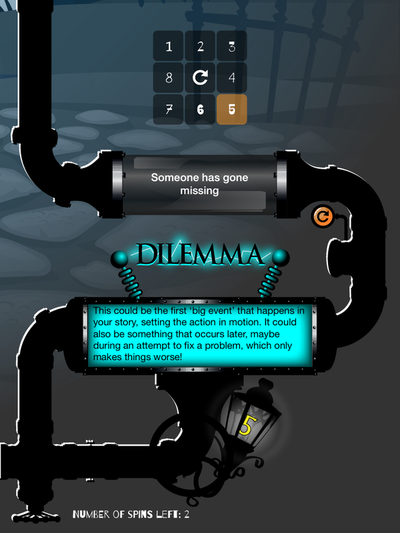 Expand on this dialogue to create a script for a dramatic performance, or hot seat Superman in the classroom, with questions generated by pupils in the guise of reporters. 4. You have discovered Clark Kent’s lost diary. 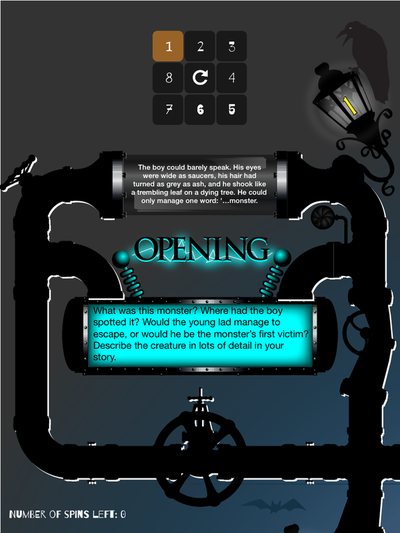 Select pivotal moments from his early life (e.g. Jonathan Kent, Clark’s adoptive father, revealing his ship, or Clark saving the sinking bus, or Clark’s life at sea and the rescue at the oil rig, etc.) and write diary entries, focusing on his struggle to remain ‘normal’ as he is constantly called to be a hero. 5. 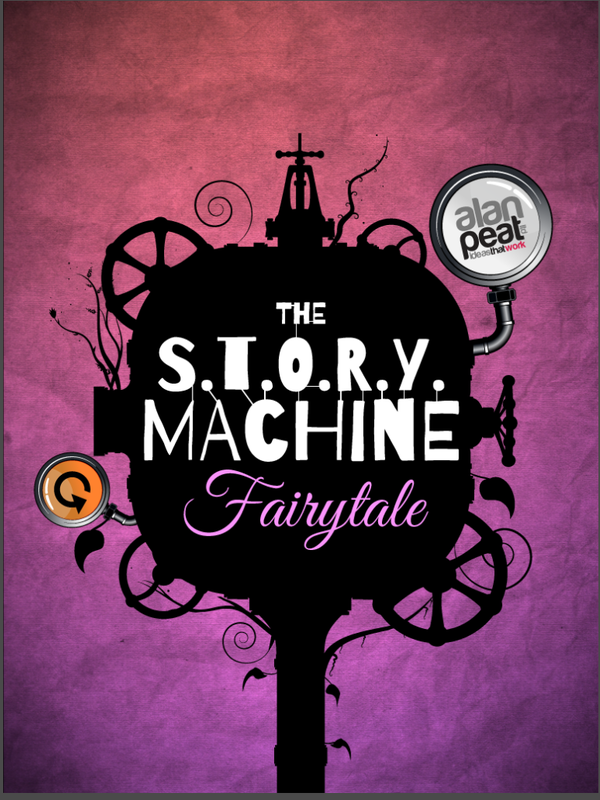 Tell the story in reverse. Take the main events of the trailer and plan an inverted narrative featuring a superhero who lives on Earth, is mistrusted by the people he tries to help, ends up going into hiding and is eventually taken away to save a planet that is on the verge of destruction. 6. Focus on the settings in the trailer, particularly on Superman’s icy fortress. Describe Superman’s own experience of his dwelling, in the first person, from the inner chambers until he reaches the frozen flats and takes flight. 7. Challenge the pupils to be the teacher! – Ask them to imagine that Clark Kent is in their class as a boy – how would he behave, what kind of thing would happen around him, etc. Have them write a school report for Clarke Kent from the perspective of the class teacher. 8. In the trailer Superman is shown to be flying at supersonic speed. 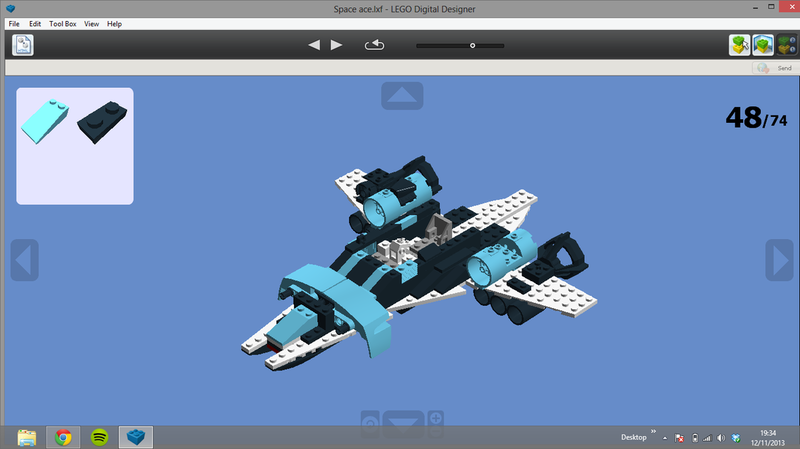 Ask the pupils to research and present a factual report on supersonic flight, including details about man-made vehicles that have achieved similar speeds, and an explanation of what a ‘sonic boom’ is. 9. Watch the trailer then invert its main narrative aspects, creating an oppositional story – an evil alien super baby is sent from a otherwise peaceful planet to take over and enslave Earth. 10. Lois Lane first appears in the trailer as an adventurous reporter, tracking down Superman through bleak conditions and over challenging terrain. 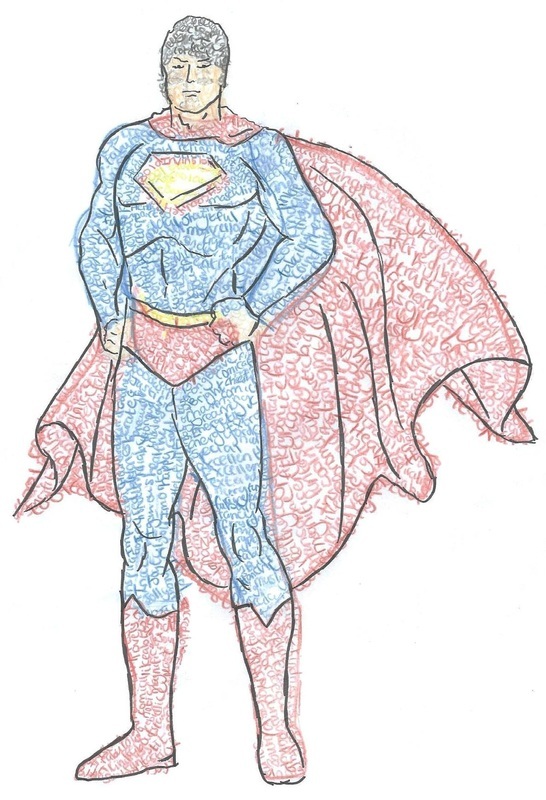 Have Pupil’s take on her perspective and write entries for her news blog – ‘Searching for the Man of Steel’ – including different locations, near misses and interesting encounters. 11. Look at the trailer from a film narrative point of view, and create a special effects report, commenting on the effect of the music, lighting, special effects and sound effects. 12. Right at the start of the trailer we see Superman’s birth parents Jor-el and Lara, making the heartbreaking decision to send their son away. 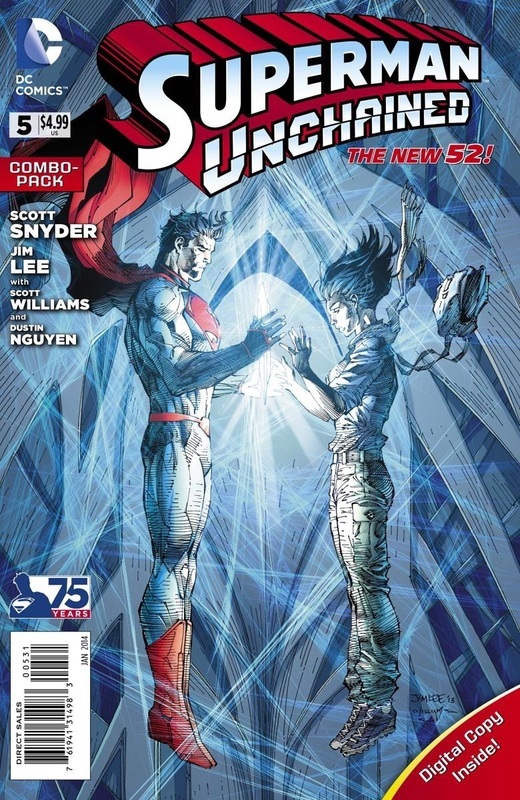 Infer the continuation of their story – what happened to the parents of Superman? 13. The ‘bus incident’ is an example of Clark’s realisation of his powers. 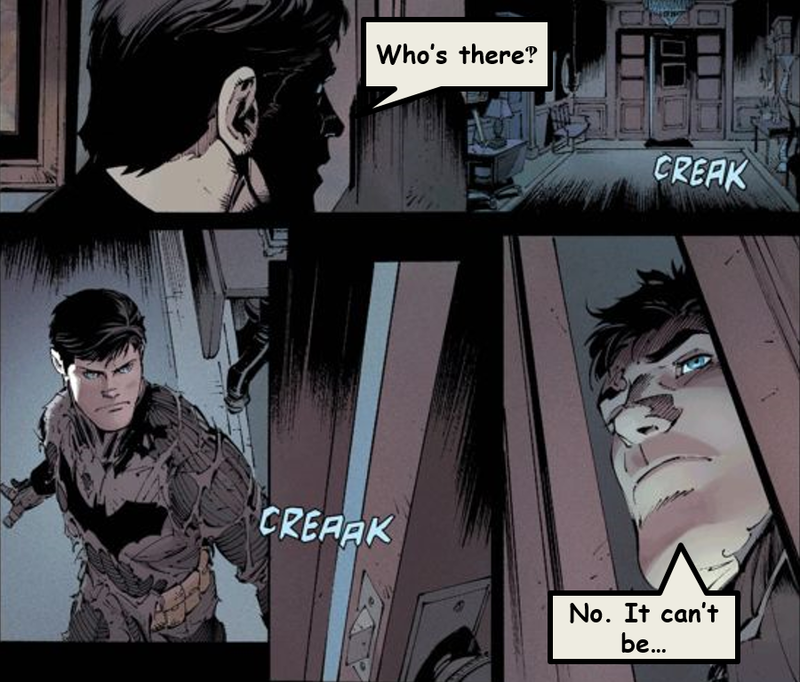 Imagine there was another such incident at home, and tell the story of the moment Clark discovered his powers from the perspective of his adopted father, Jonathan Kent. 14. Mid-way through the trailer we meet General Zod – a very angry military leader who seems hell-bent on tracking Superman down. Why is he so angry? 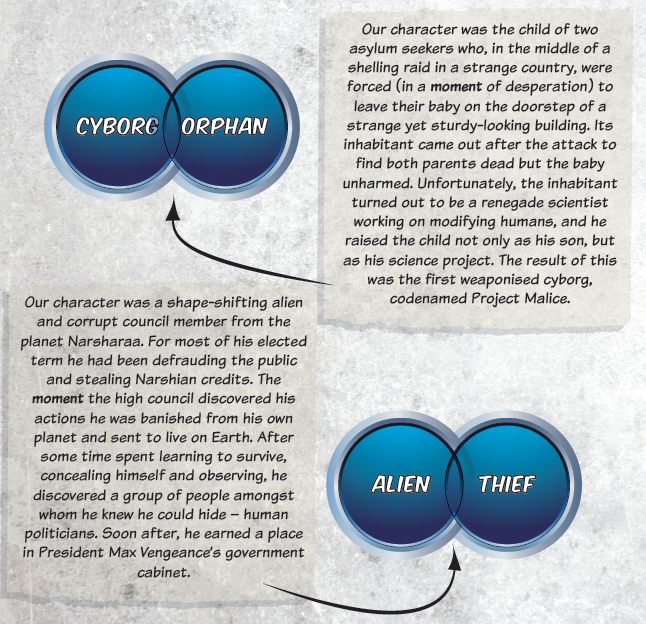 Create a back story to explain his motivation to find and kill Superman. 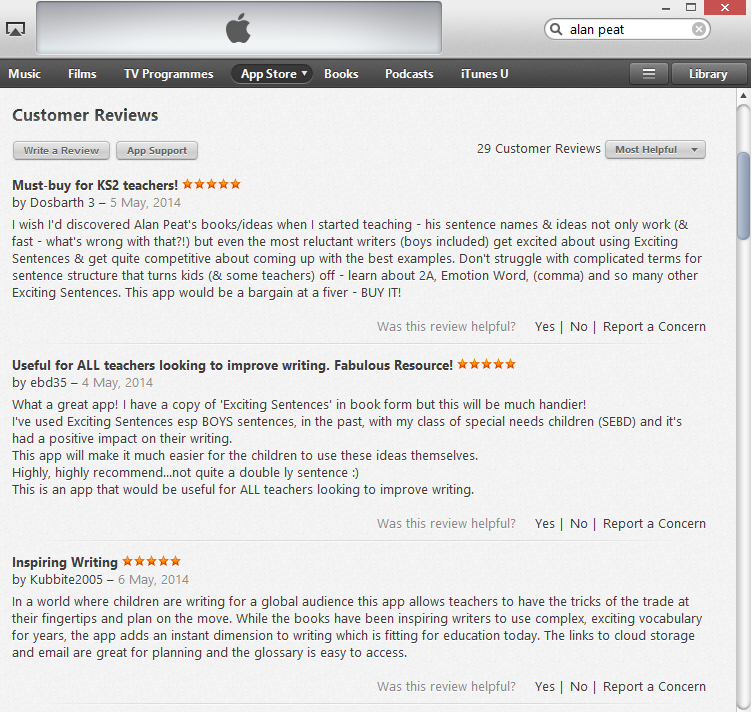 If you use any, do get in touch and let me know how they went!